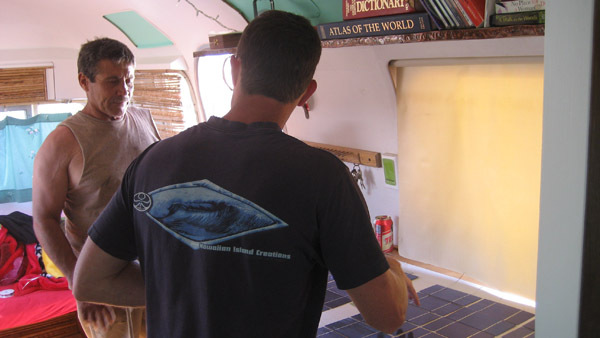 This is a series of photos taken from a handful of past workshops we have performed. 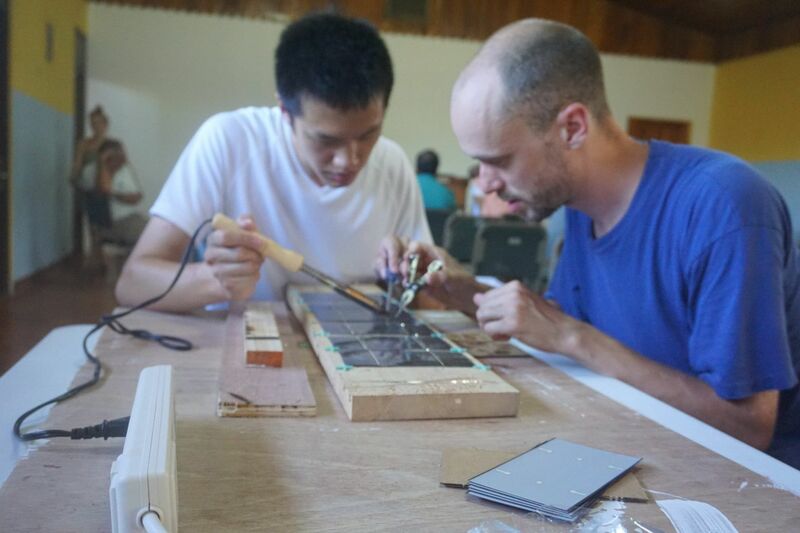 Some of the photos of our workshops are taken by workshop attendees with their cell phones so we do apologize where the image quality may be less than perfect. 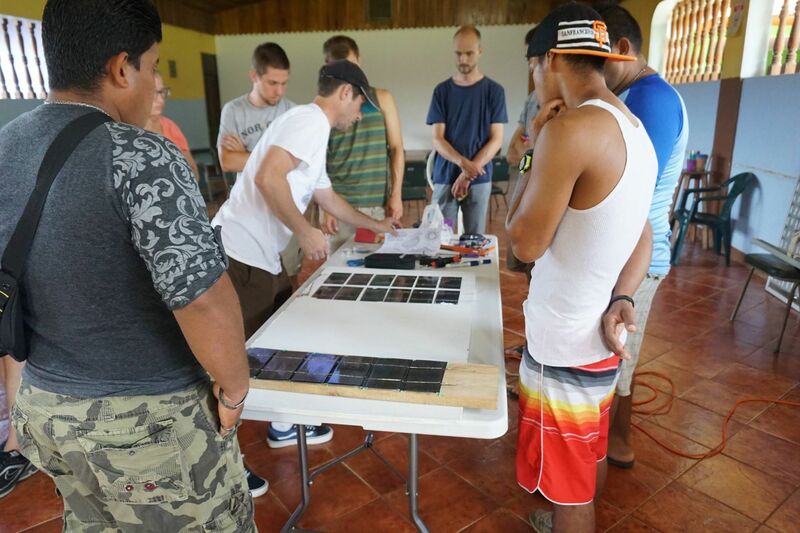 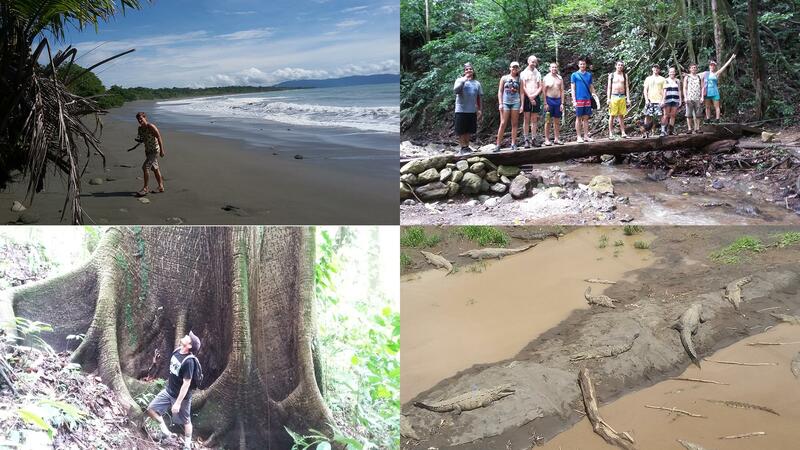 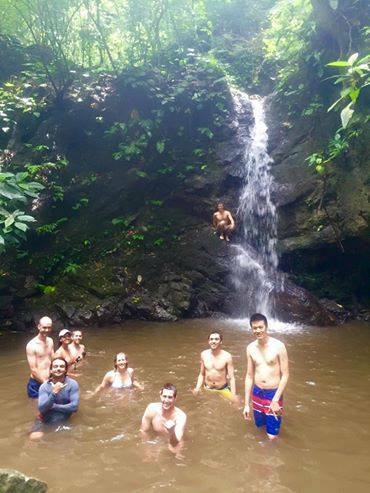 This is a workshop we did in Puerto Jimenez, Costa Rica in 2016 in conjunction with Green Life Volunteers. 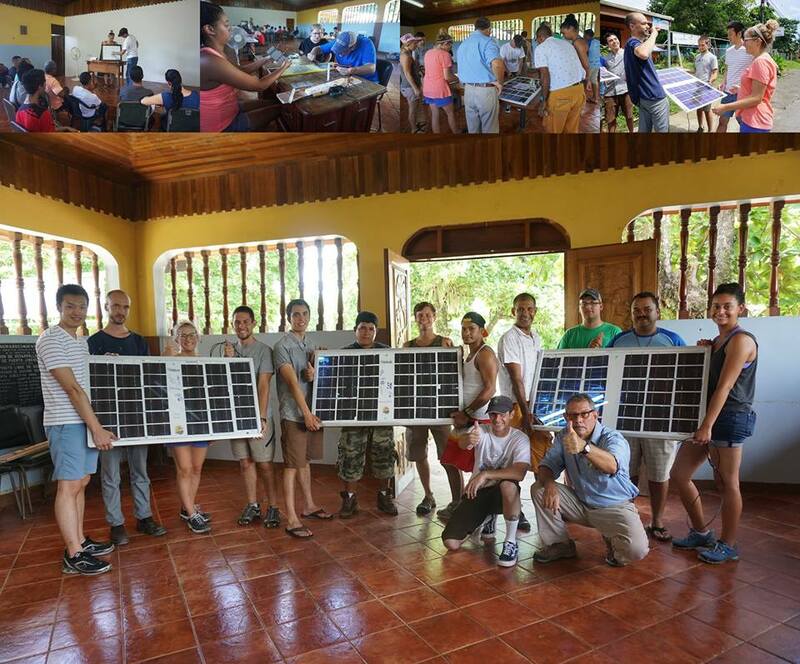 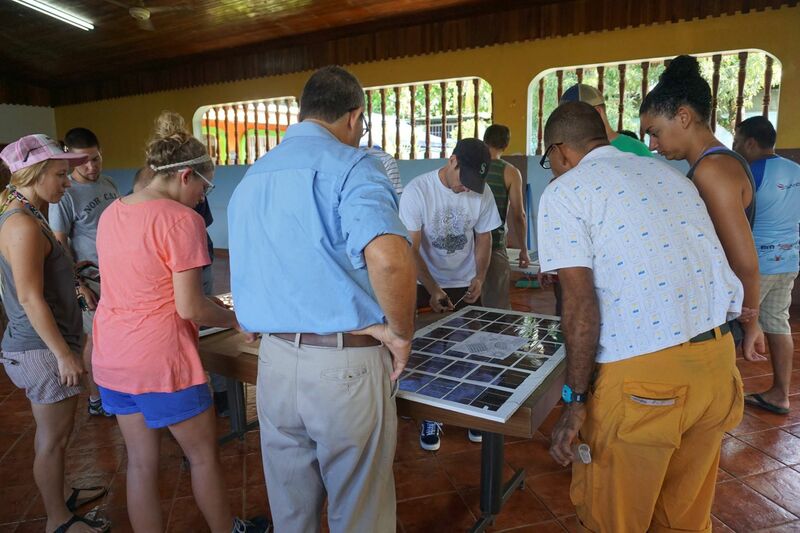 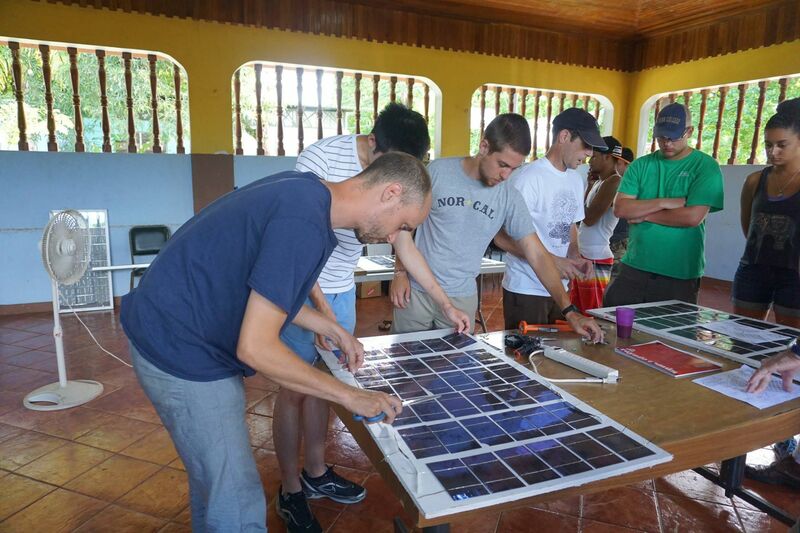 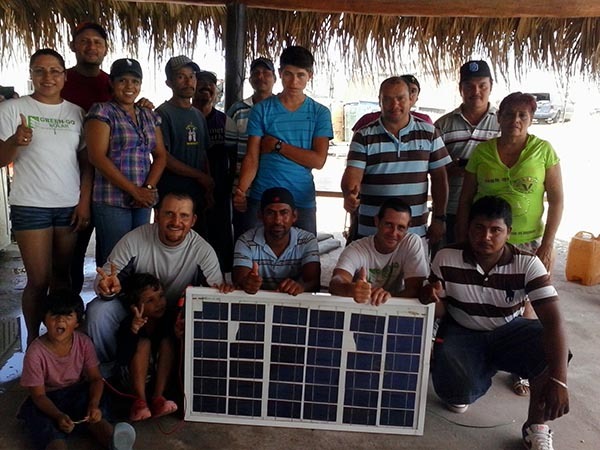 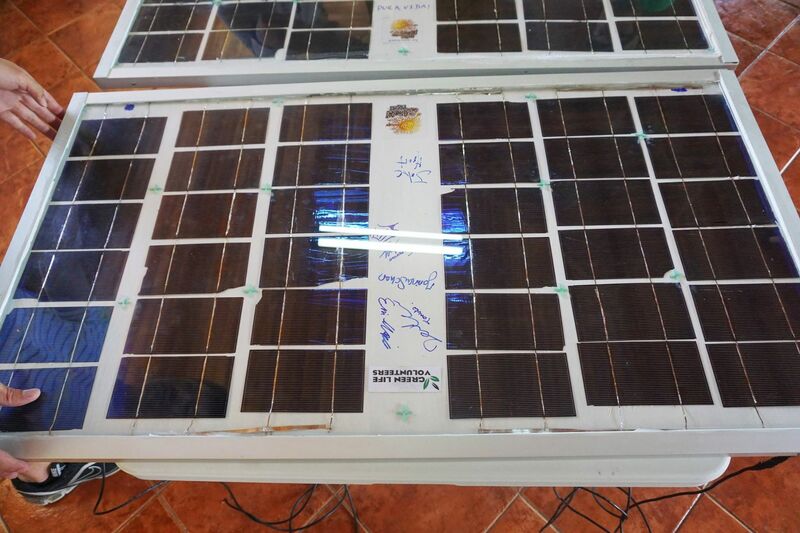 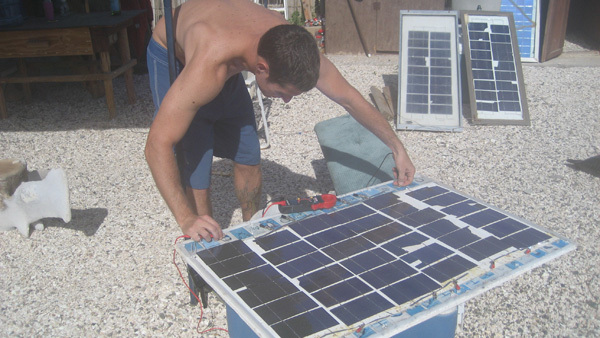 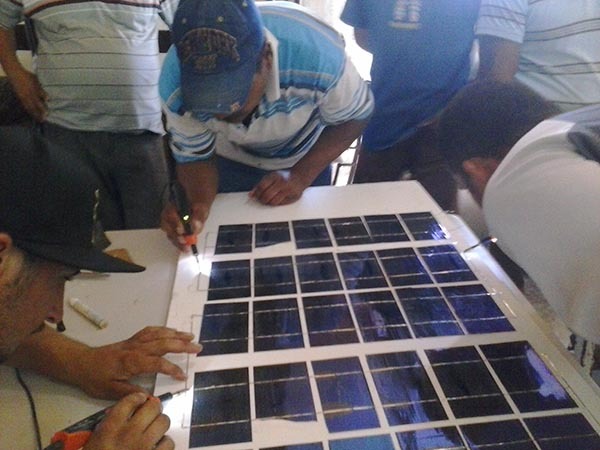 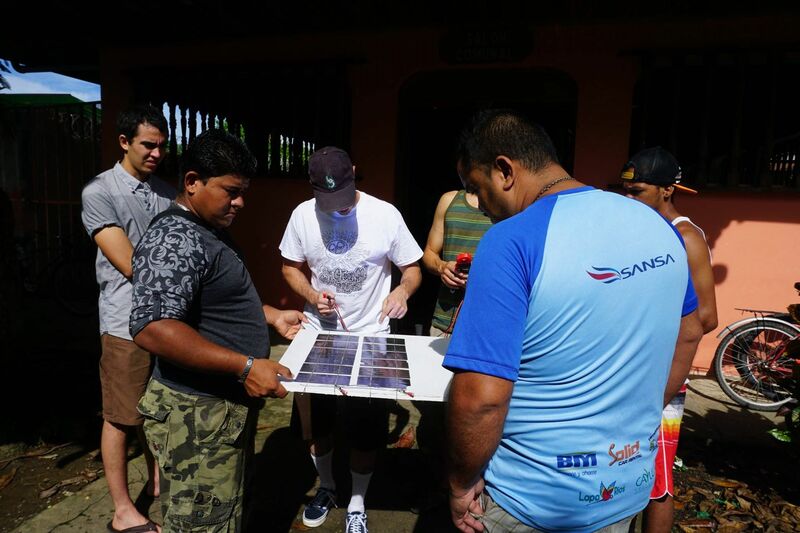 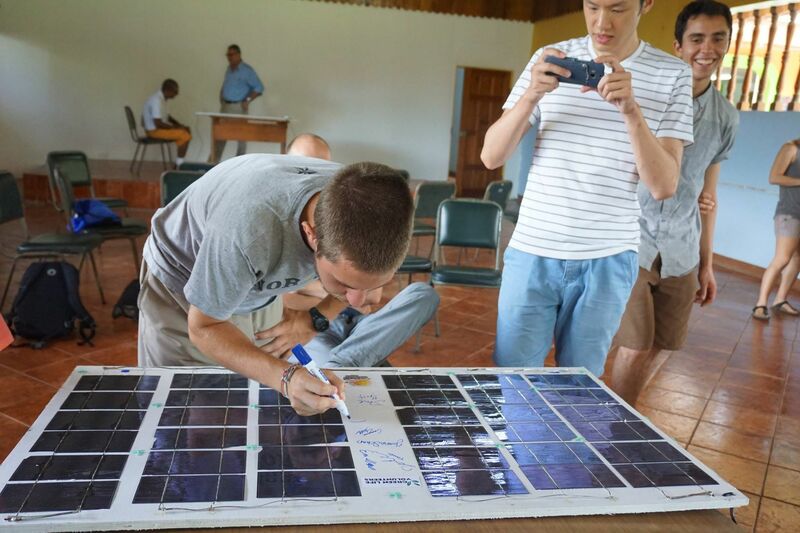 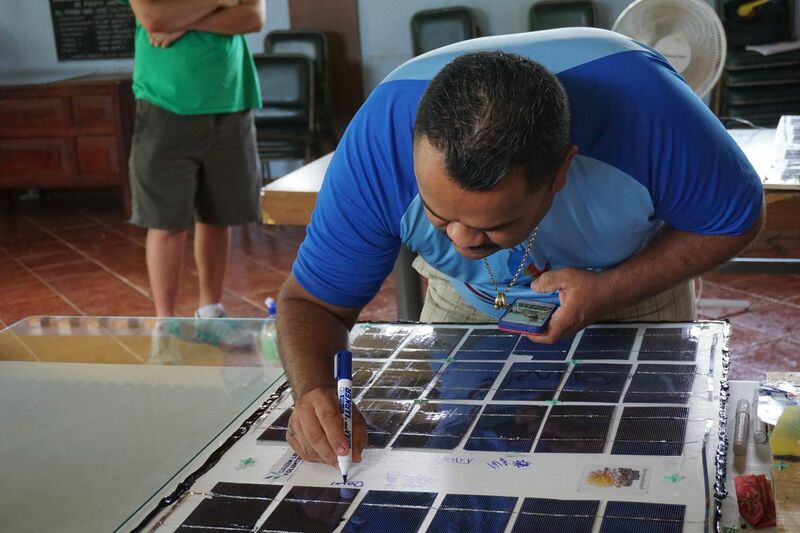 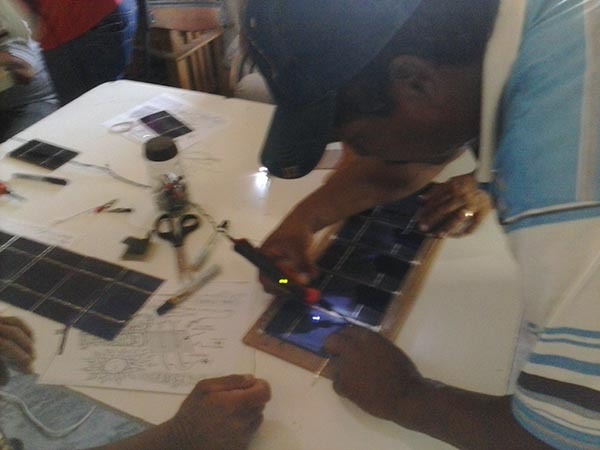 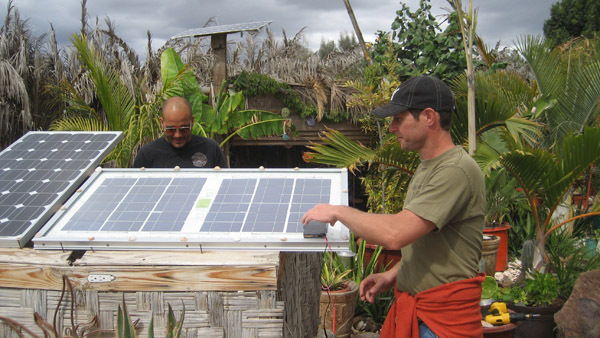 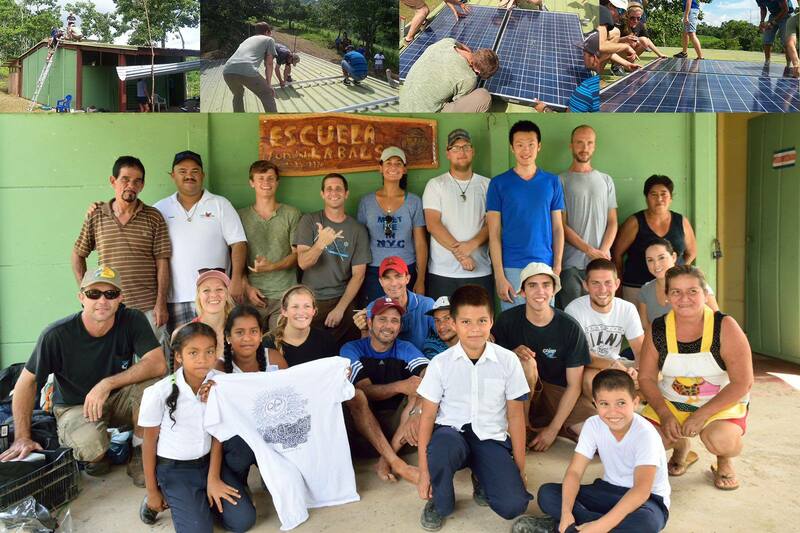 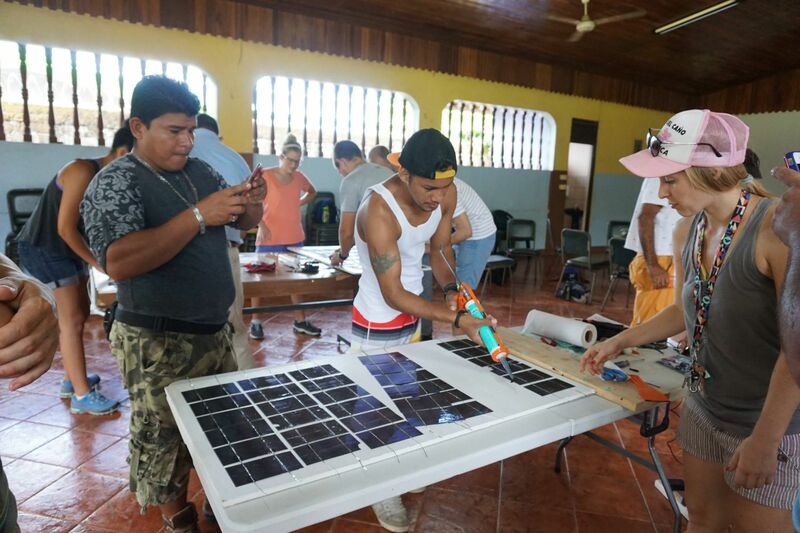 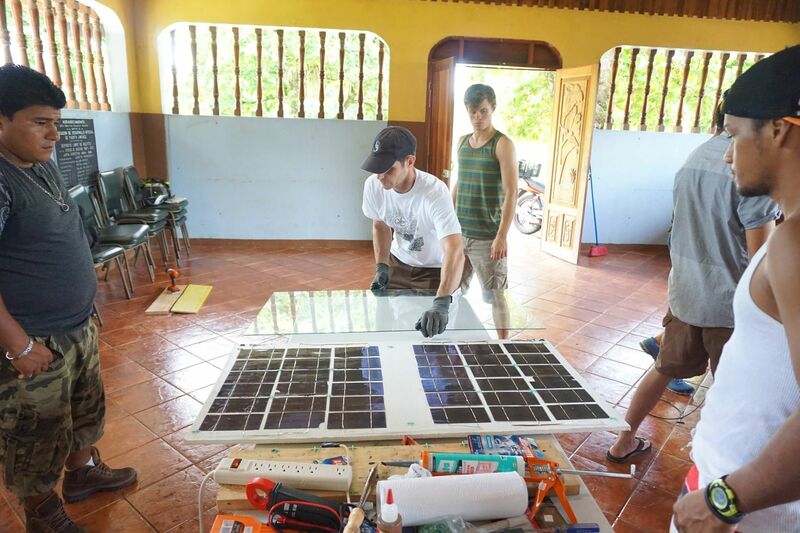 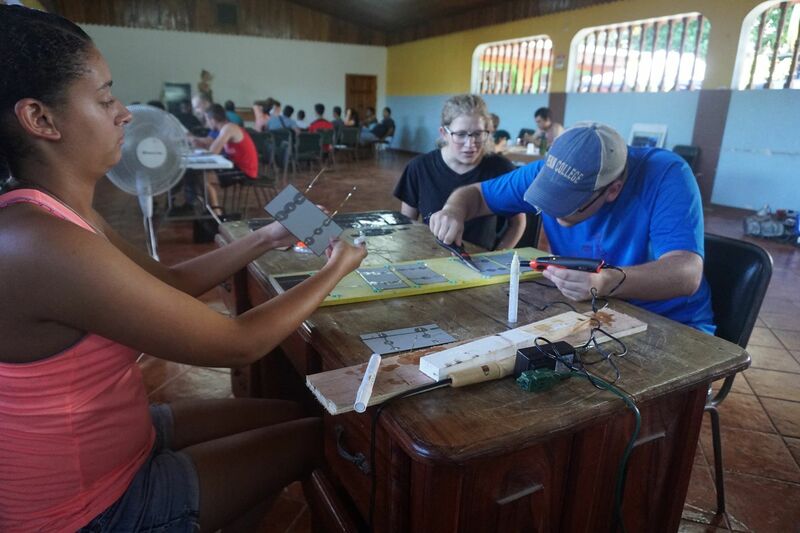 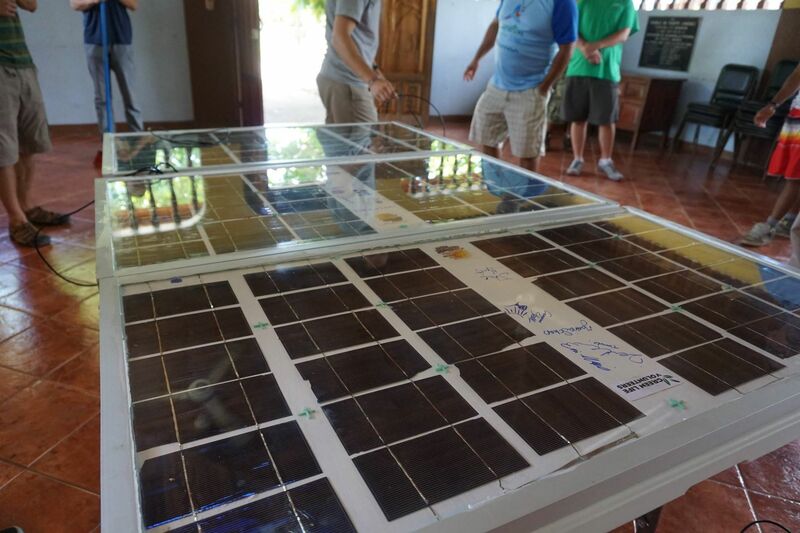 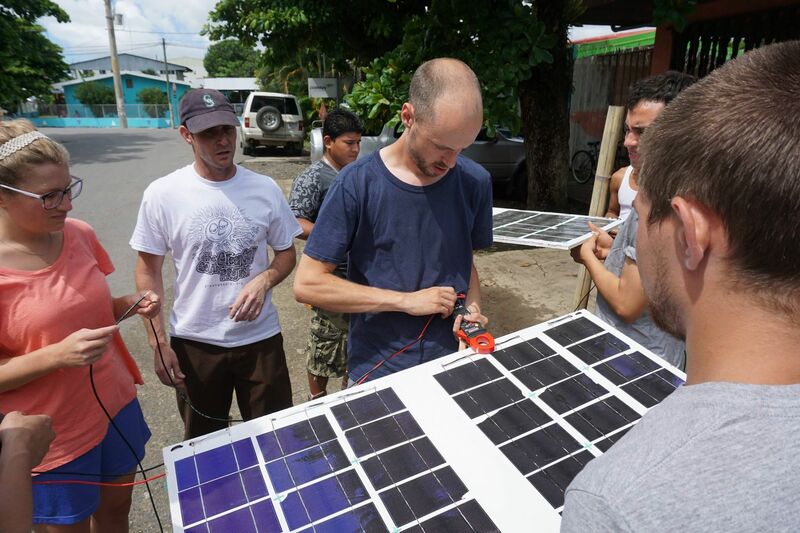 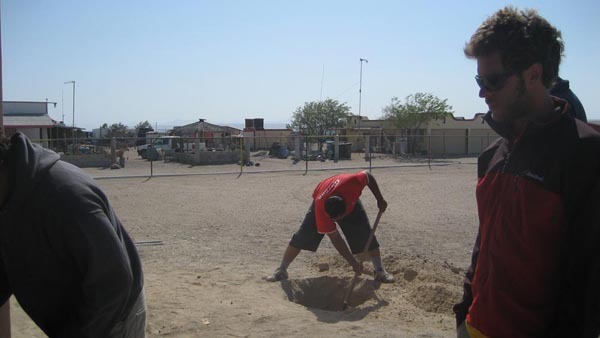 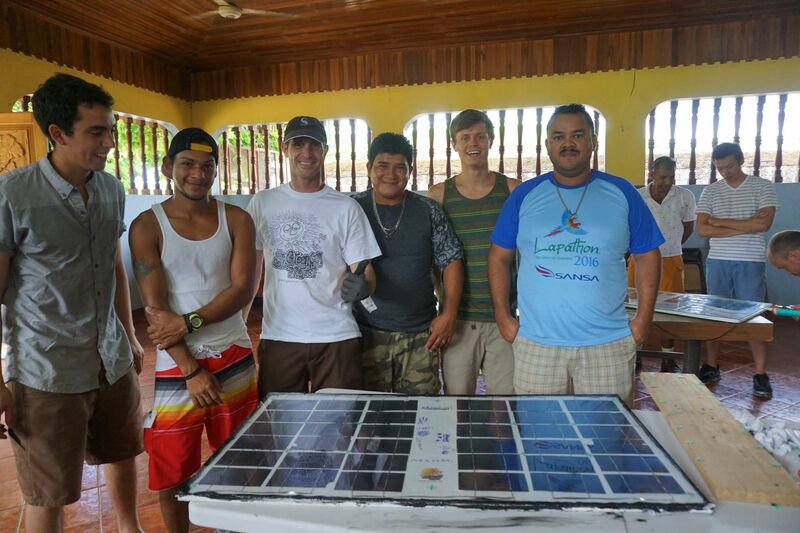 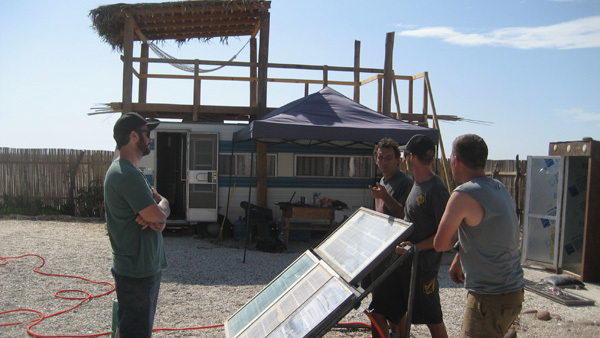 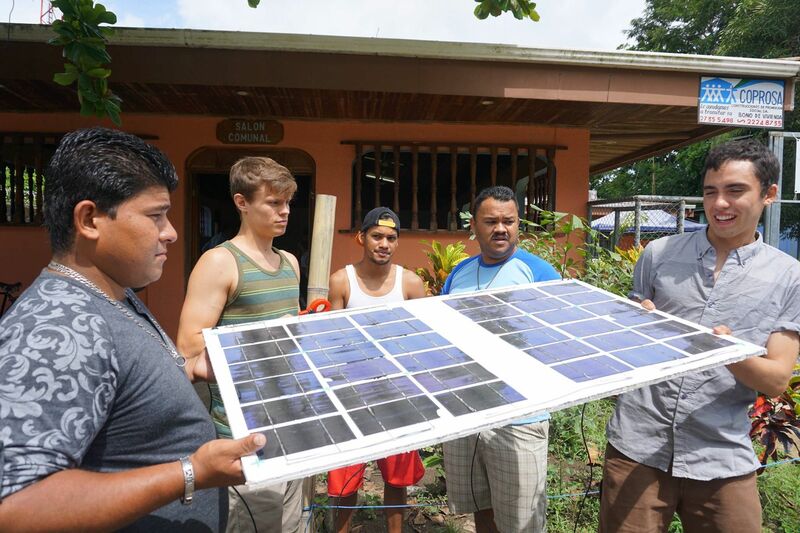 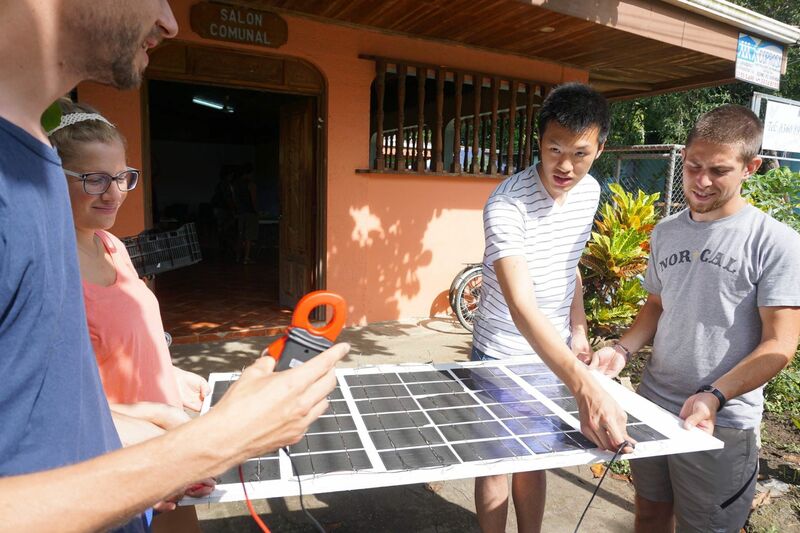 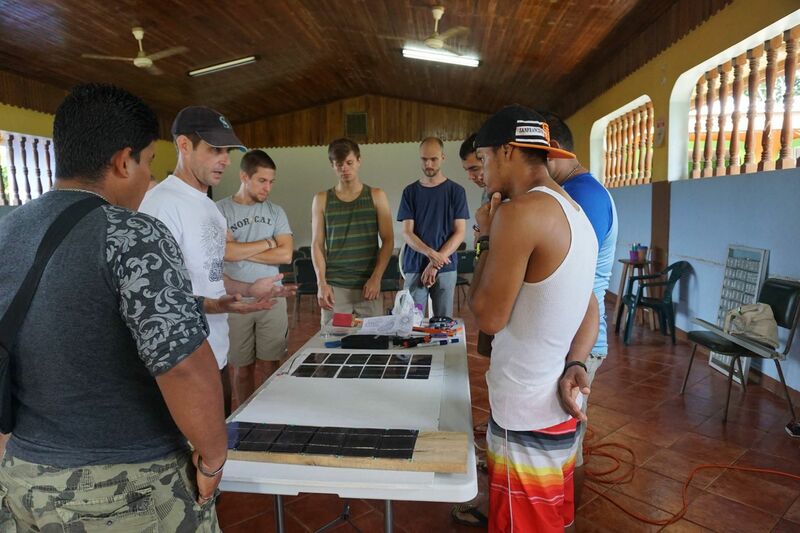 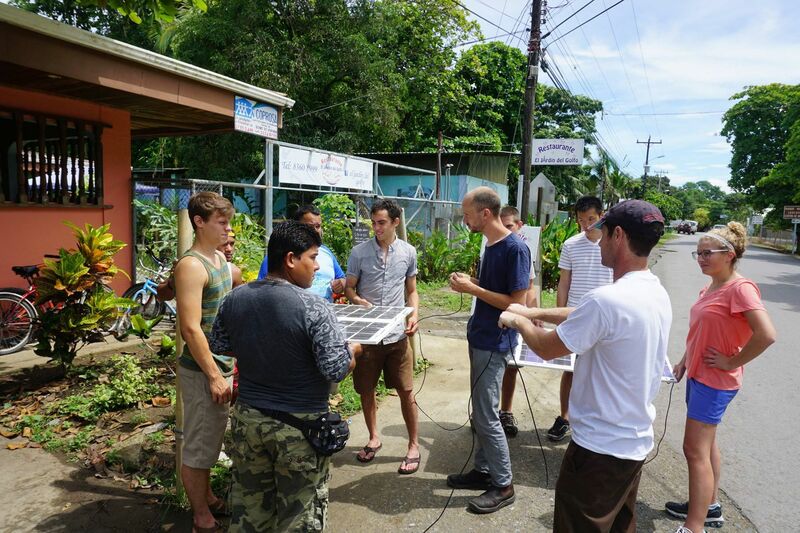 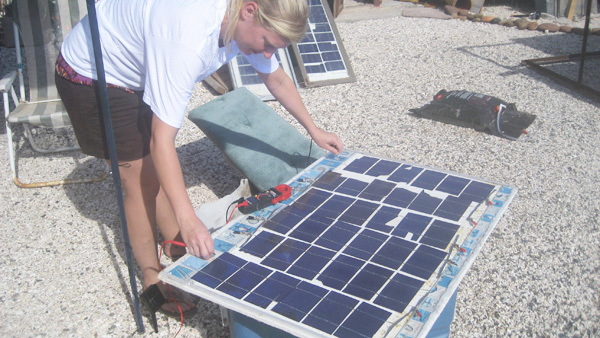 We had groups from the U.S. and Canada working with local residents to create 3 solar panels which went to the local community. 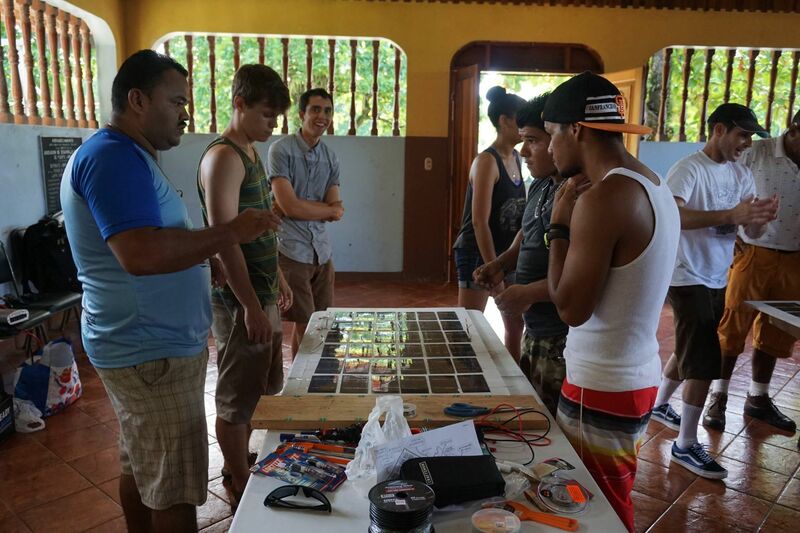 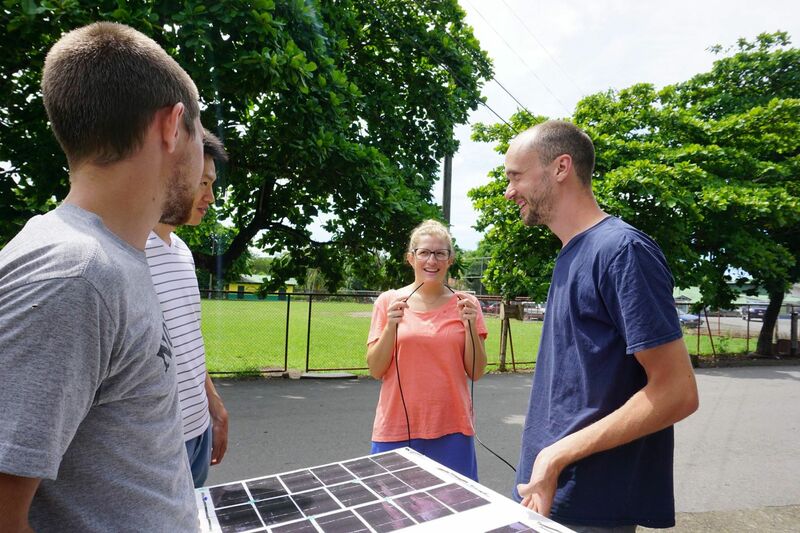 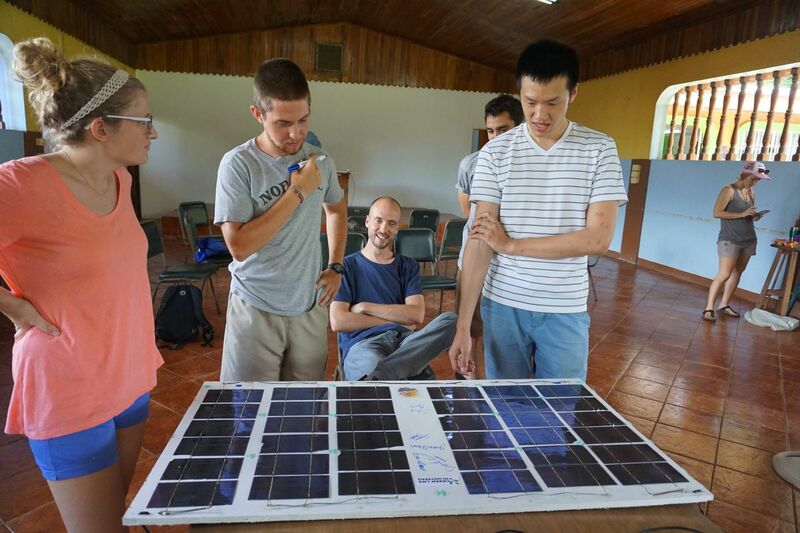 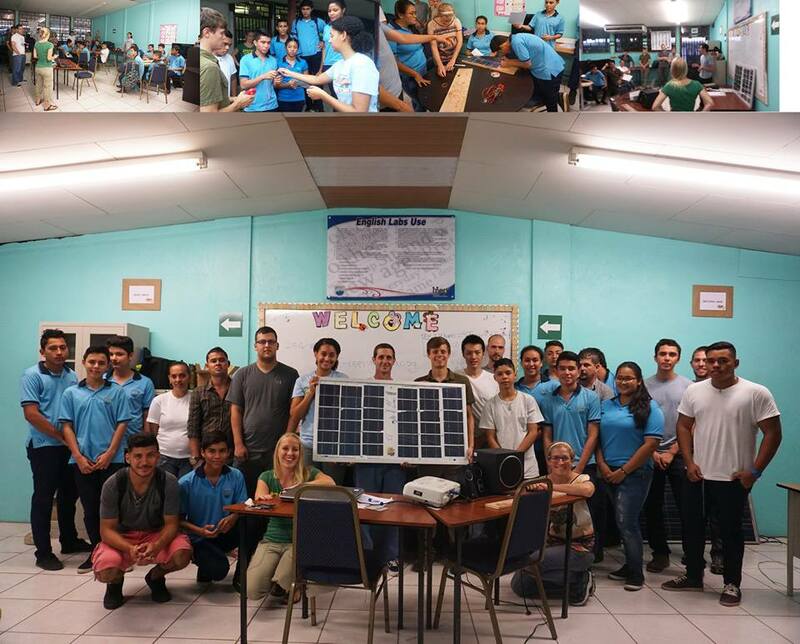 The students went on to do a presentation of solar theory/practice/benefits at the local high school (in Spanish) and then a conventional solar system install at a local schoolhouse in need of power. 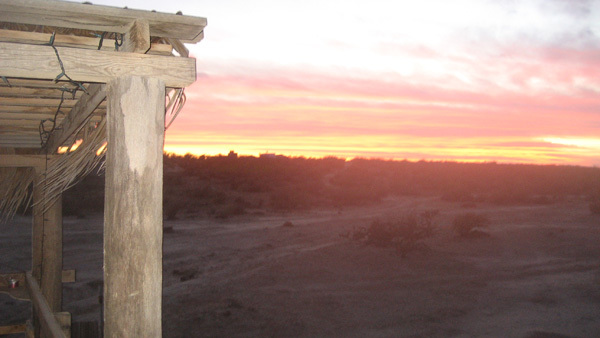 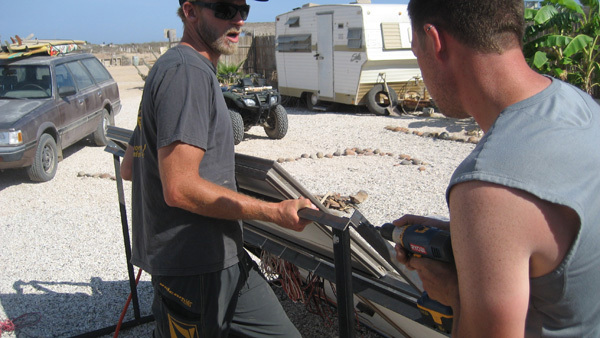 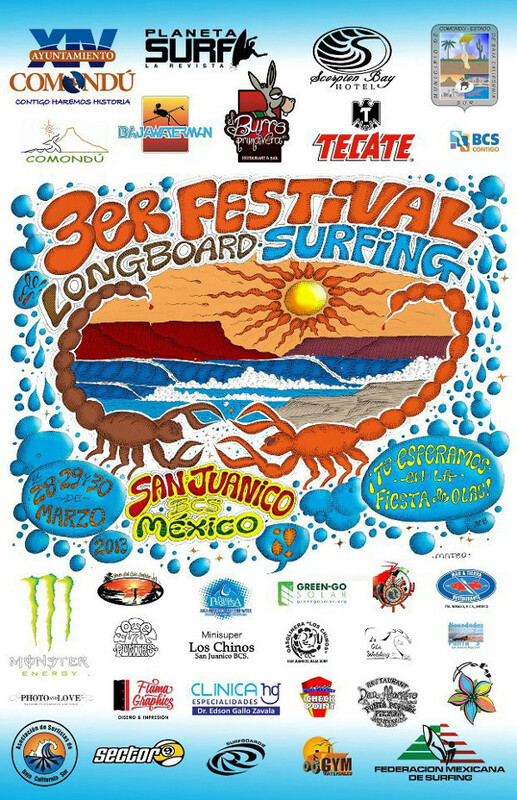 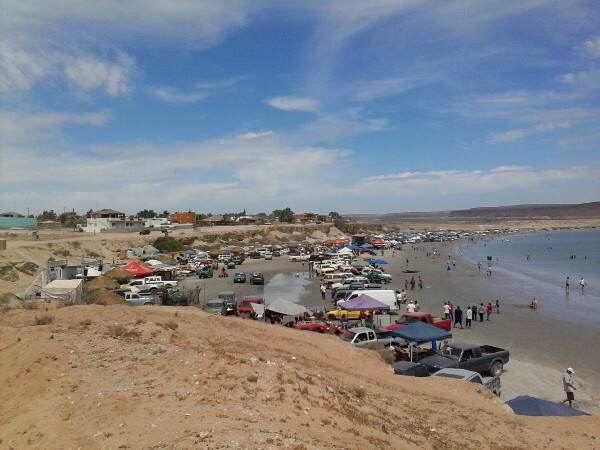 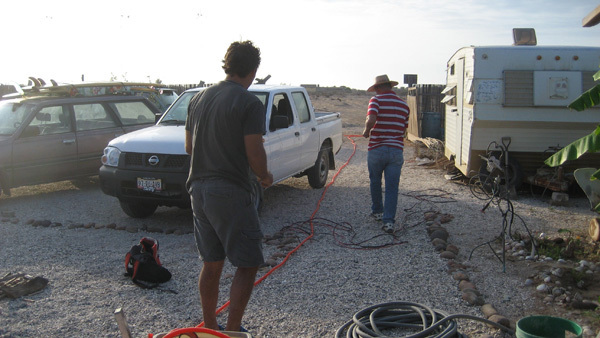 El Datil is an extremely small and remote fishing camp in the southern Baja coastal stretch. 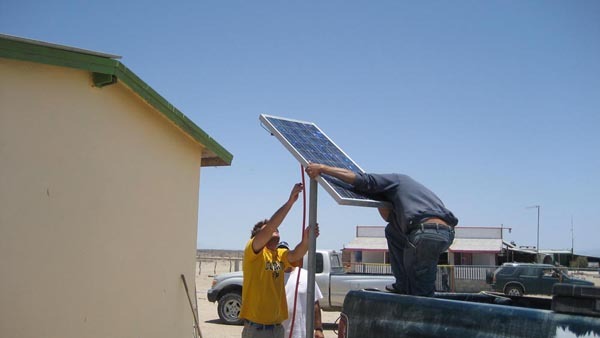 Municipal electricity is hours in any given direction and resources are extemely scarce. 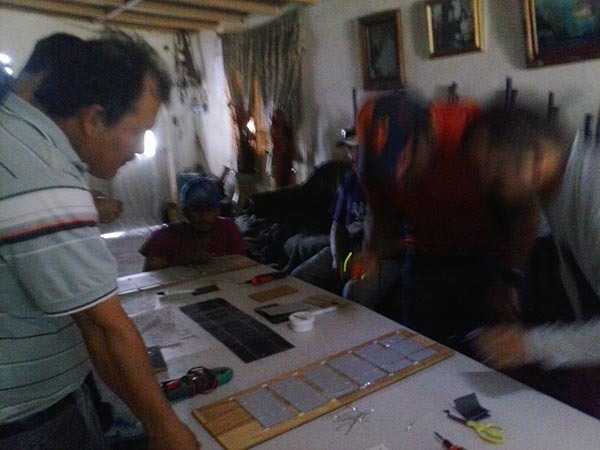 We organized the workshop with a local community contact and then performed the workshop in her living room with a large turnout and great results. 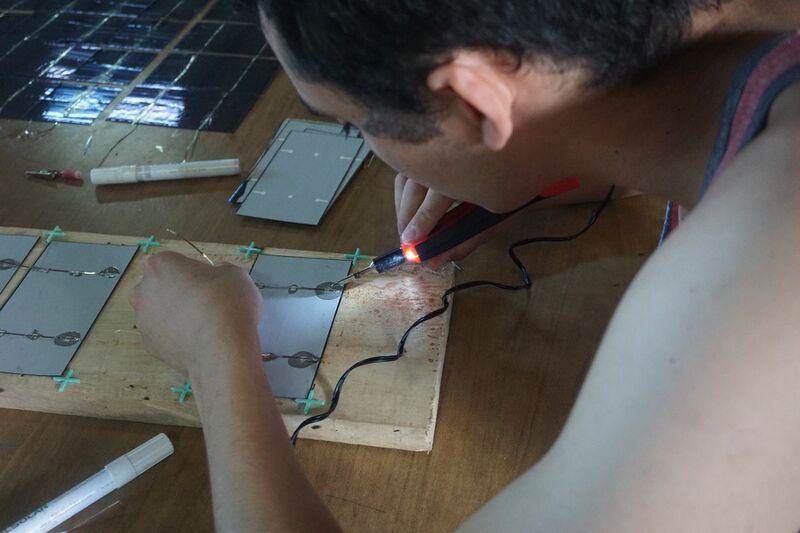 This is a working example of the remote workshop format we’re in the course of developing now. 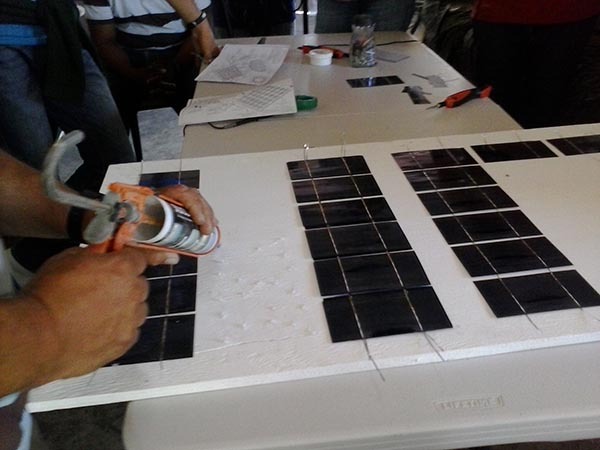 This is a panel we created from a glass door (note the handle in the photos) for a demonstration in a local Semana Santa in April of 2015. 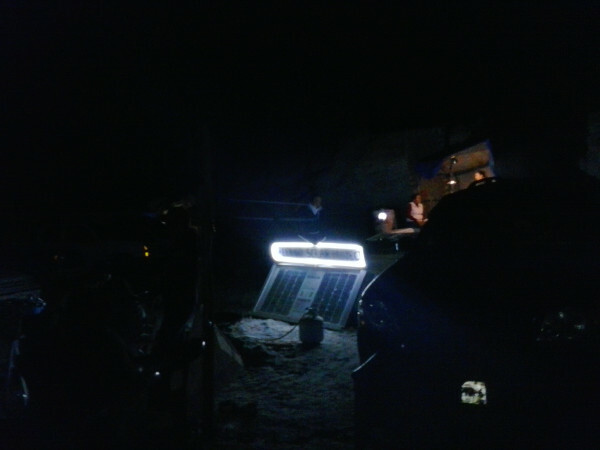 We built the panel and used it to light a local family’s restaurant stand for the weekend to increase awareness for the program. 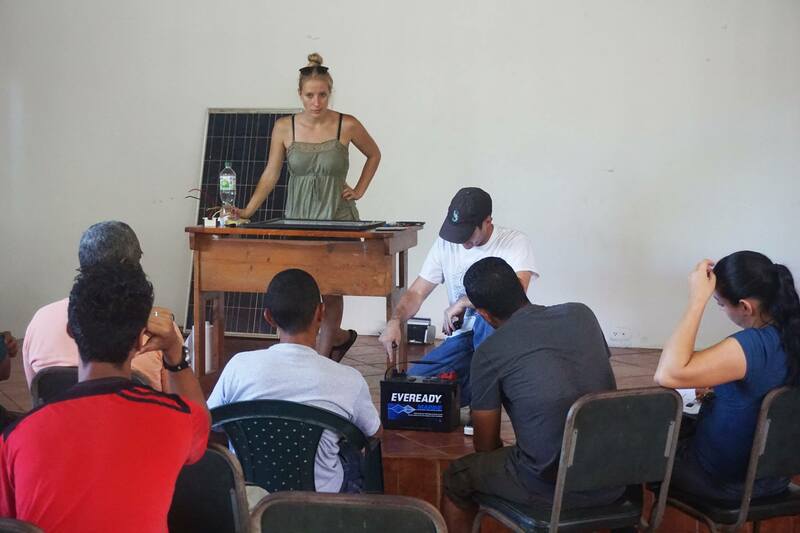 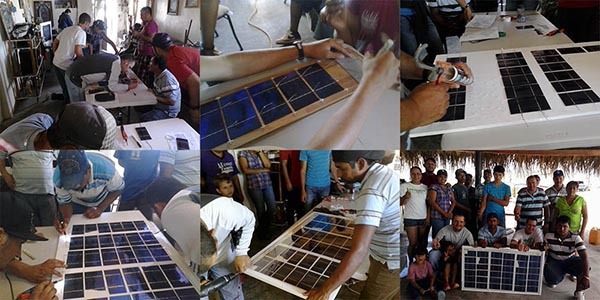 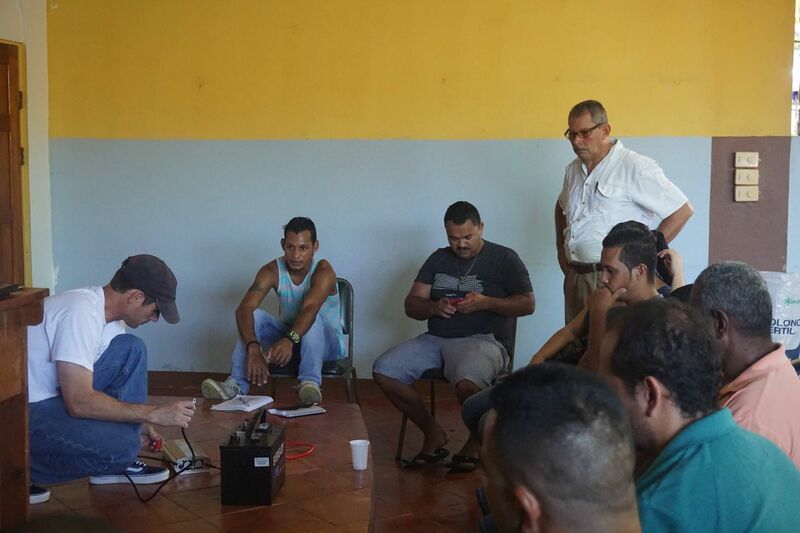 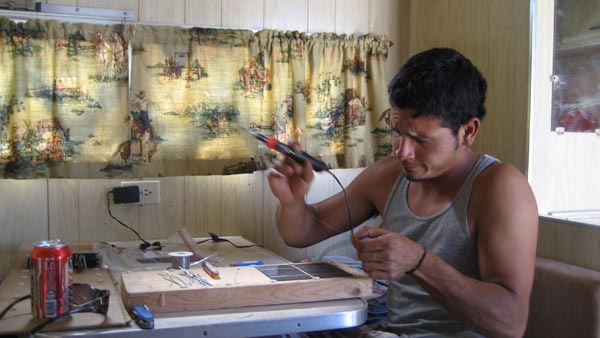 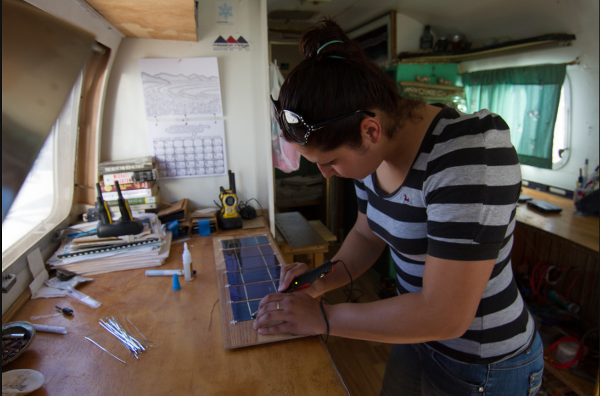 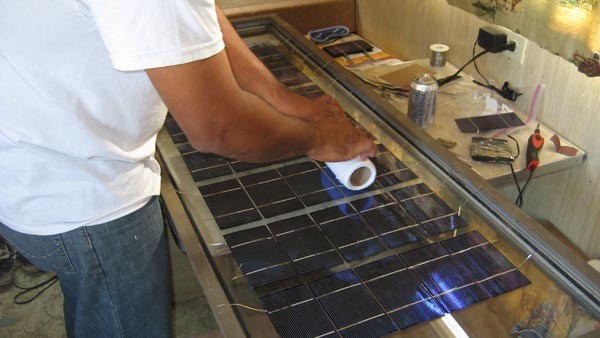 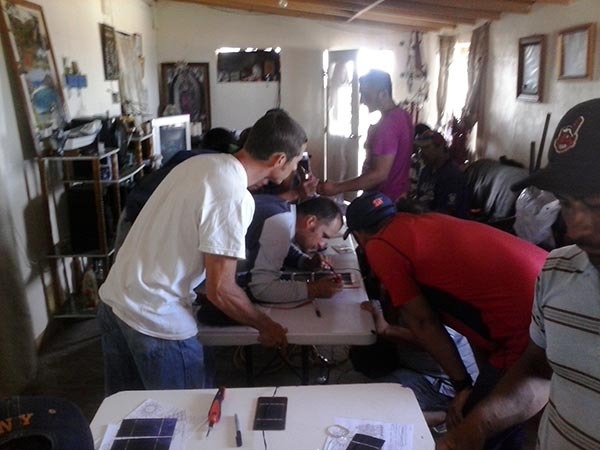 This is a typical workshop at el Rancho Solar. 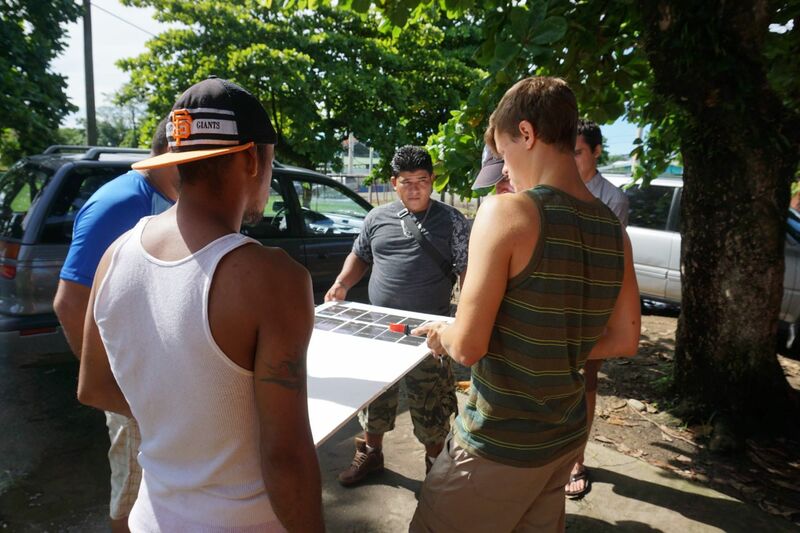 We built a panel with the group to add to our own solar array to boost production. 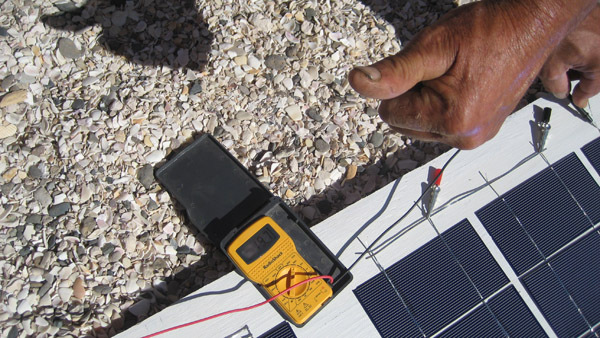 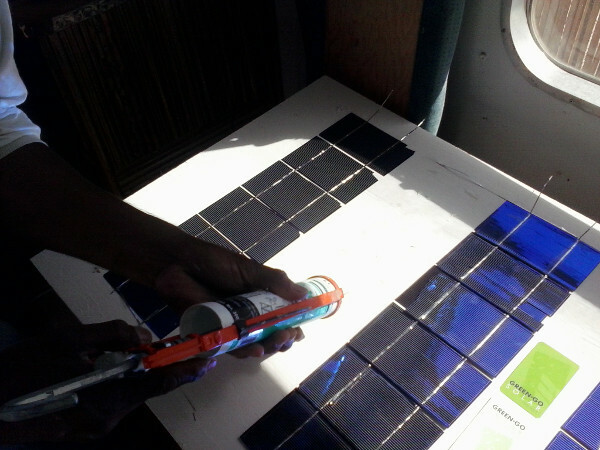 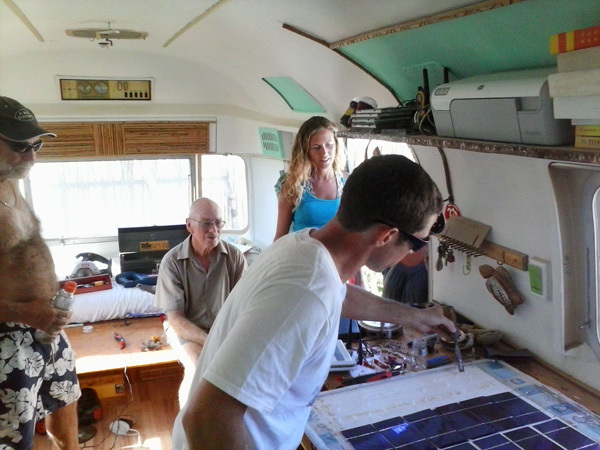 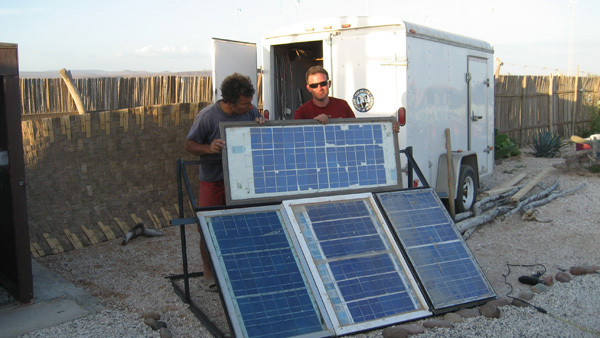 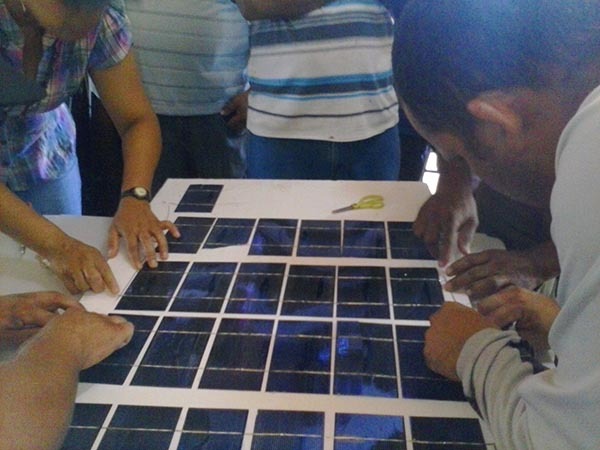 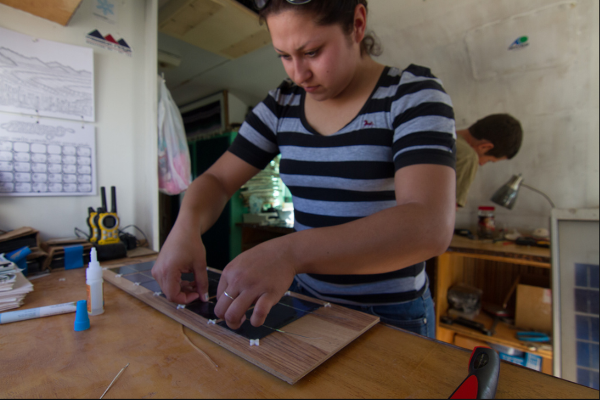 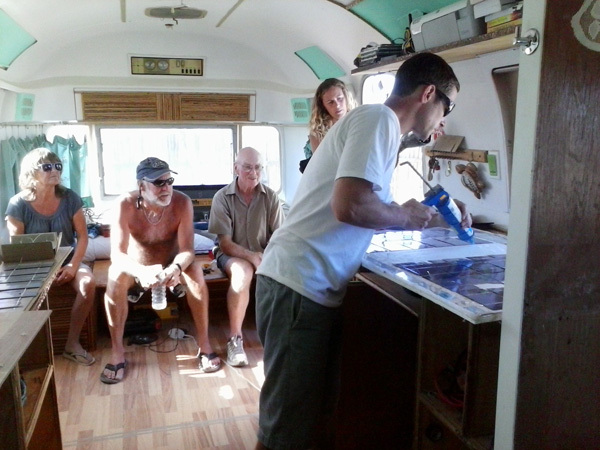 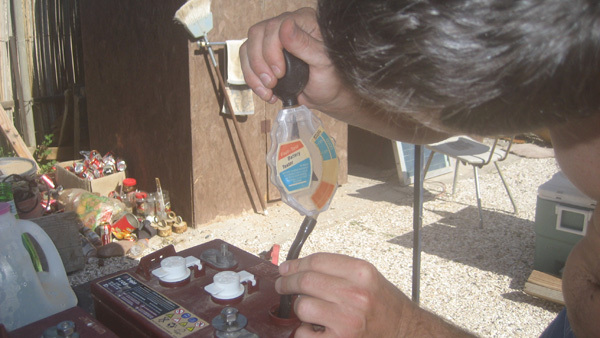 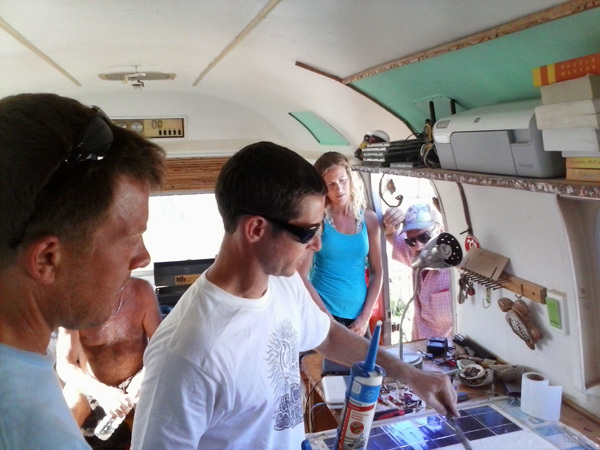 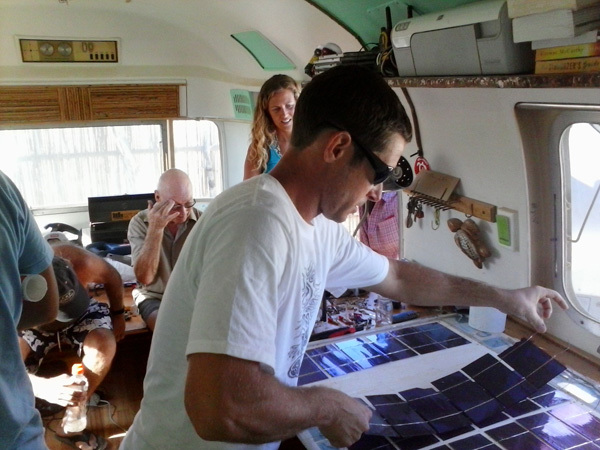 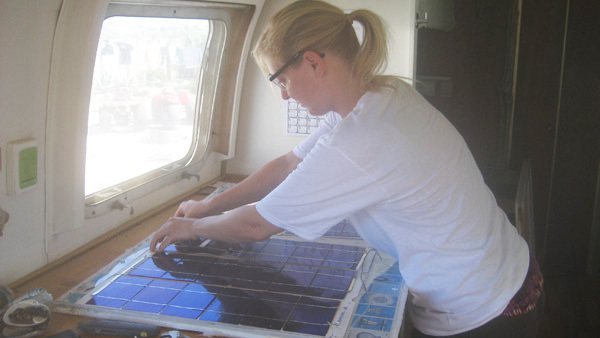 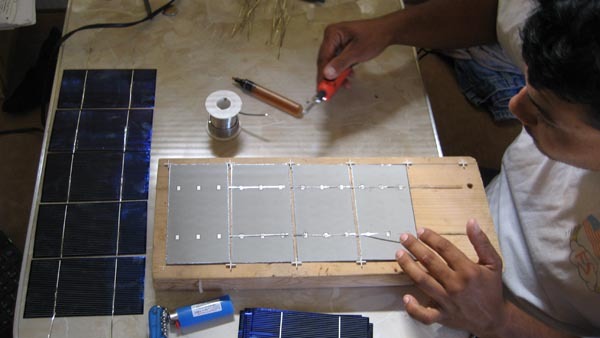 We oftentimes use our own workshop solar system as an example and hands-on teaching tool. 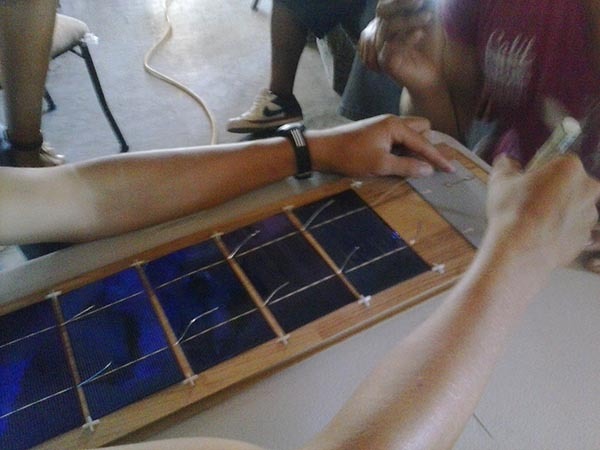 At the end of our workshops, all students leave with the diagrams, solar cells, wire, and a diode to build their own solar panel. 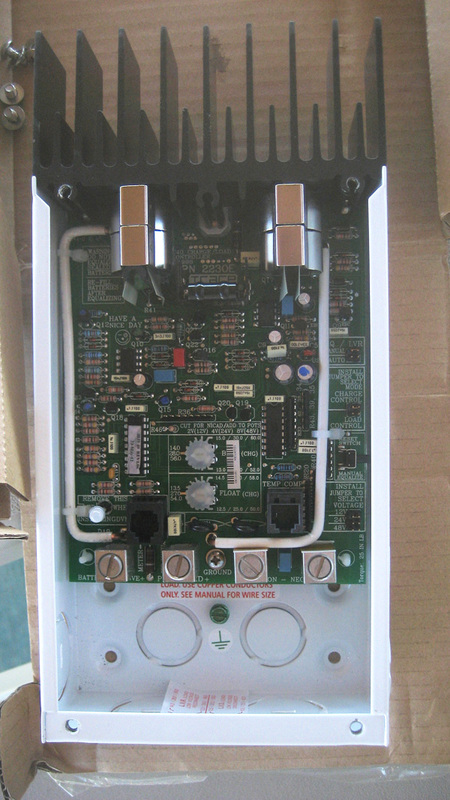 This is panel build and battery/charge controller install for a local resident. 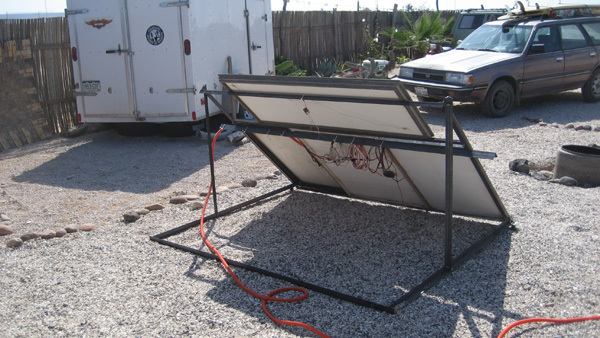 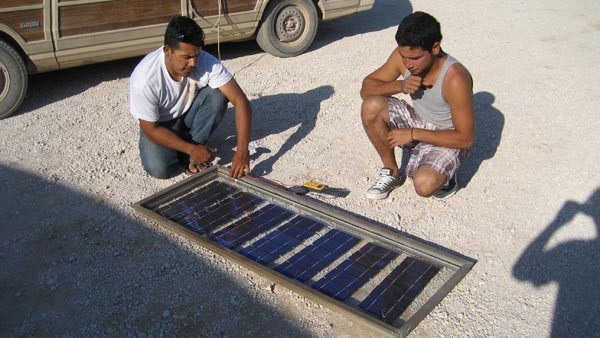 This is the initial solar array install for the workshop facility at el Rancho Solar. 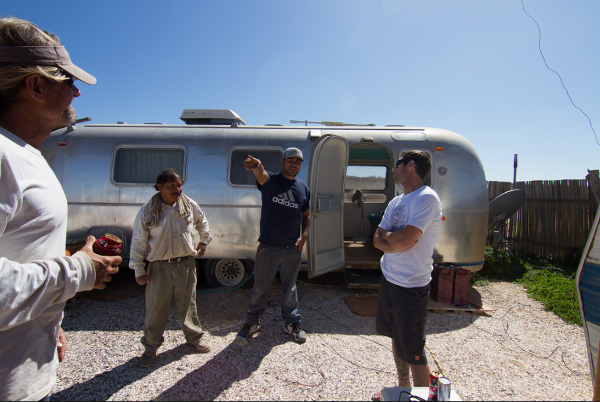 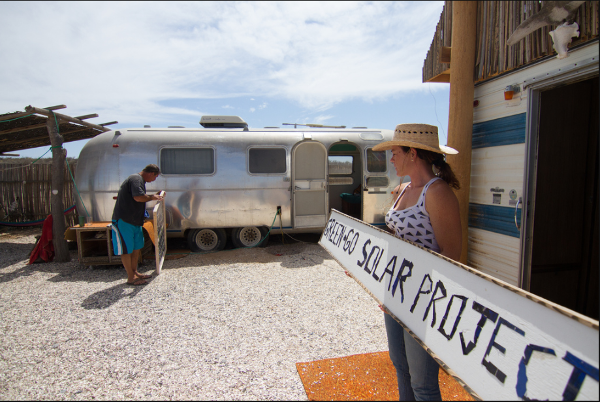 The panels are built from old windows and the larger frame for the solar array was built from metal reclaimed from a decommissioned trailer. 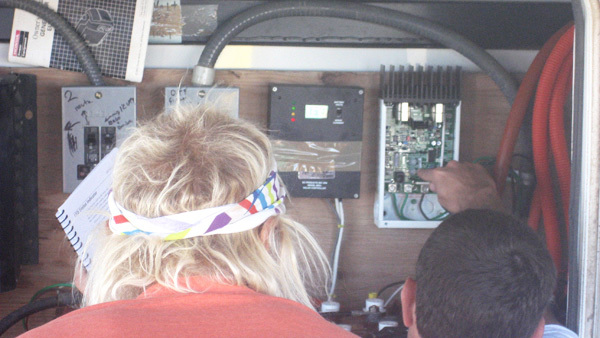 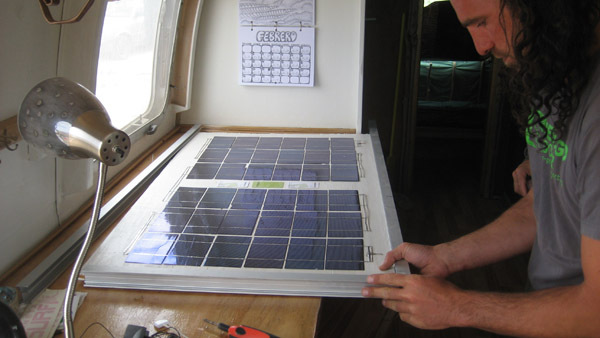 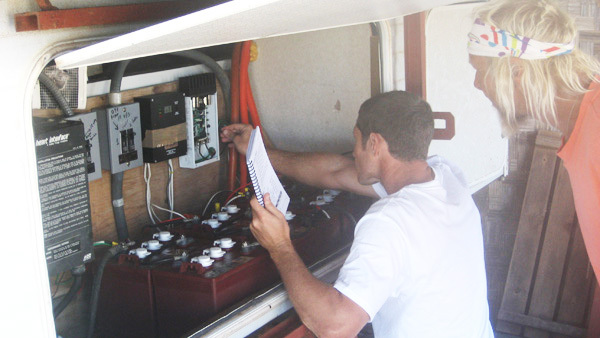 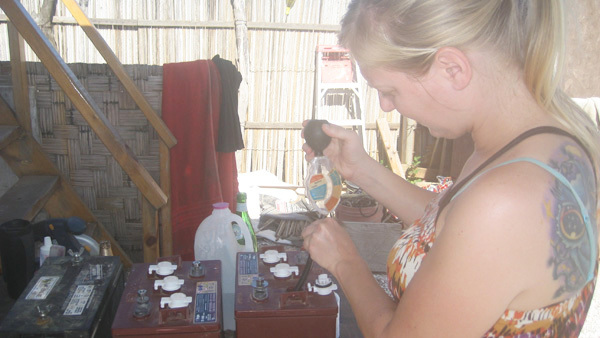 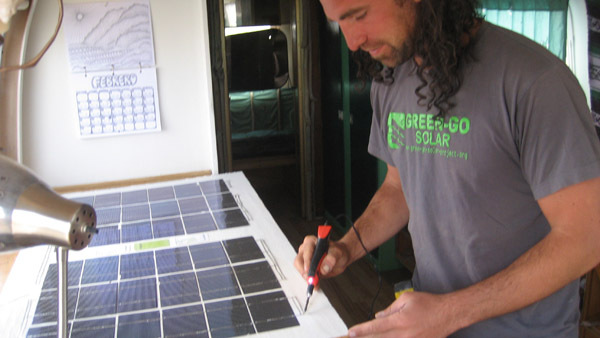 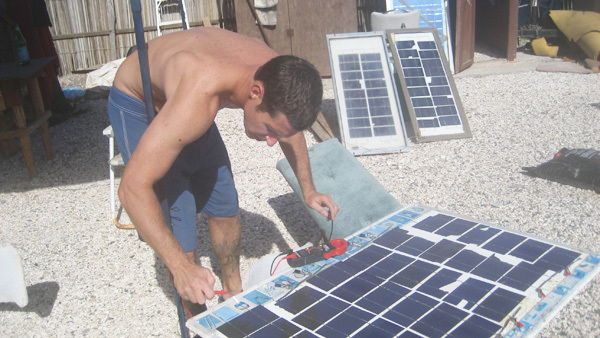 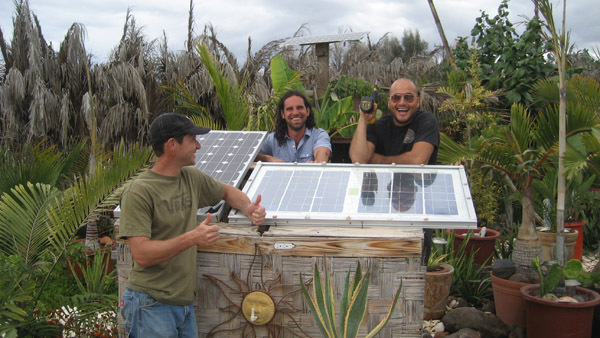 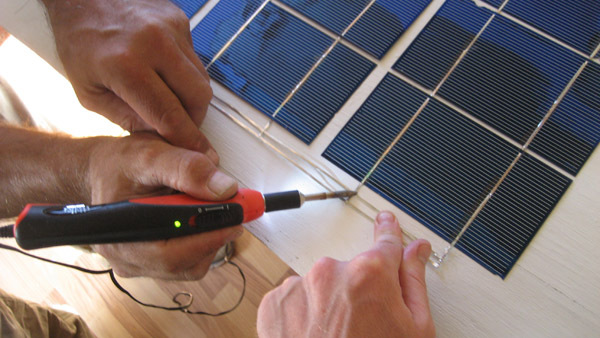 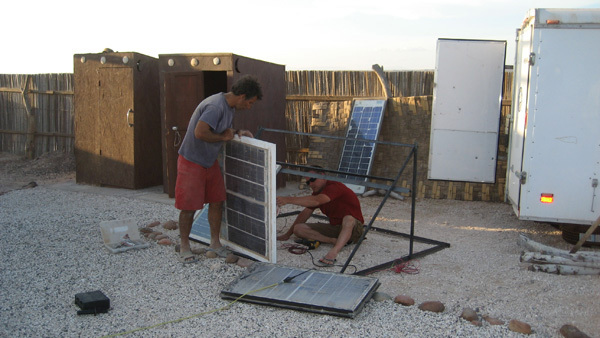 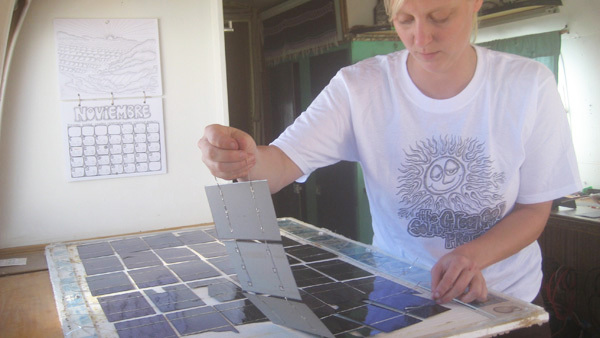 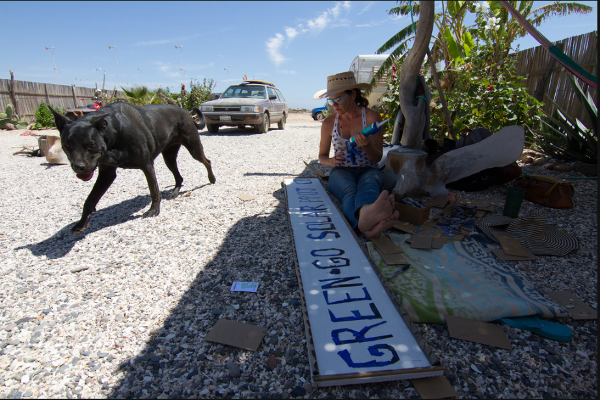 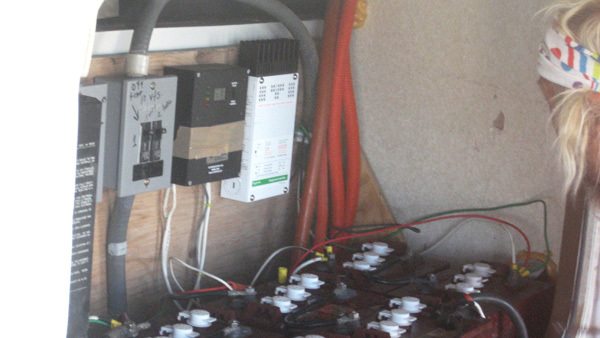 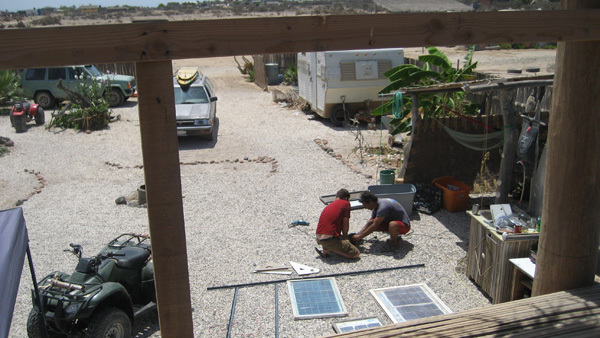 We operate completely off-grid with a solar array made entirely of hand-made solar panels. 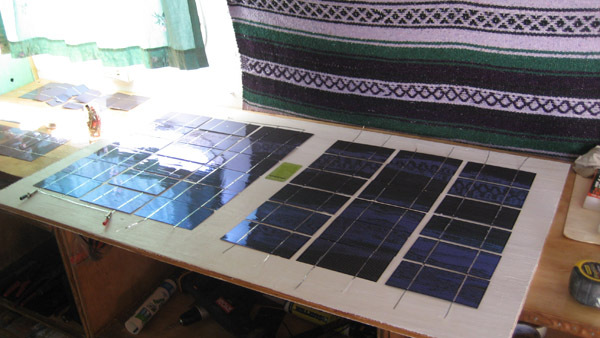 We oftentimes use this array as a teaching tool for our workshops. 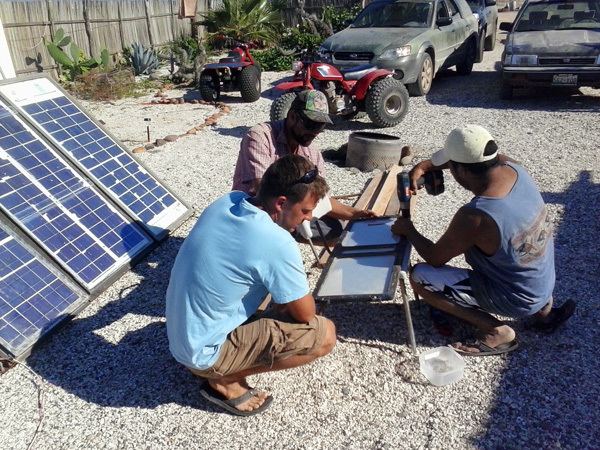 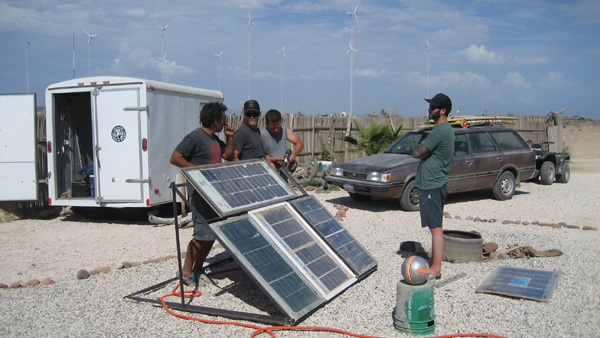 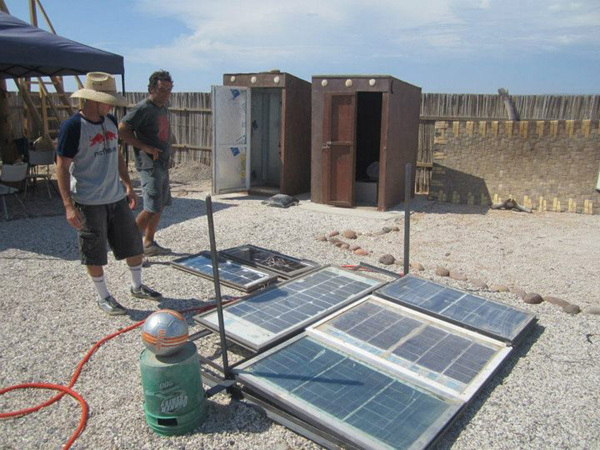 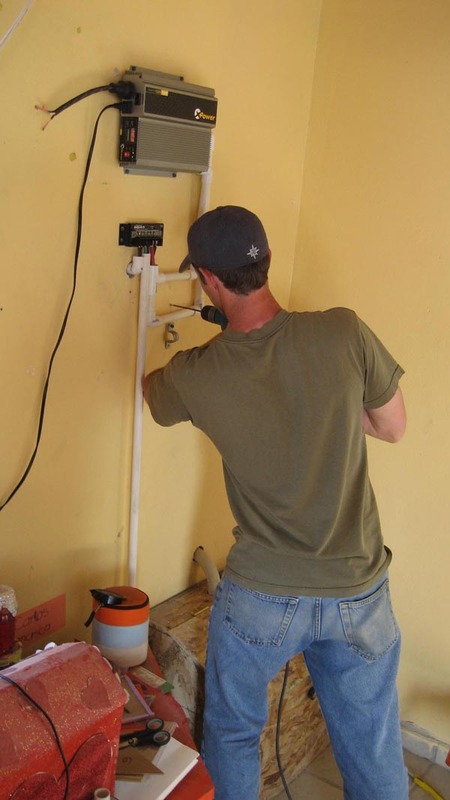 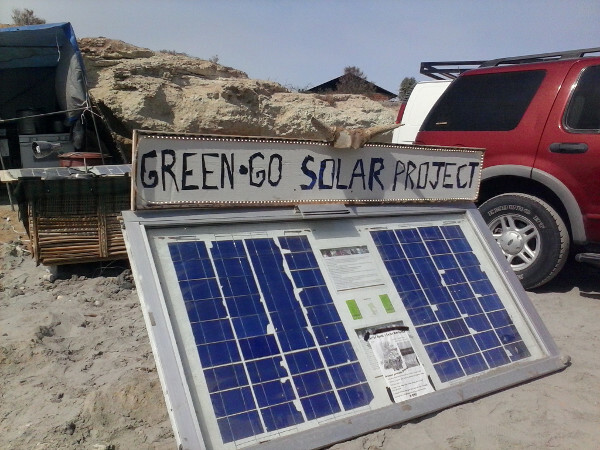 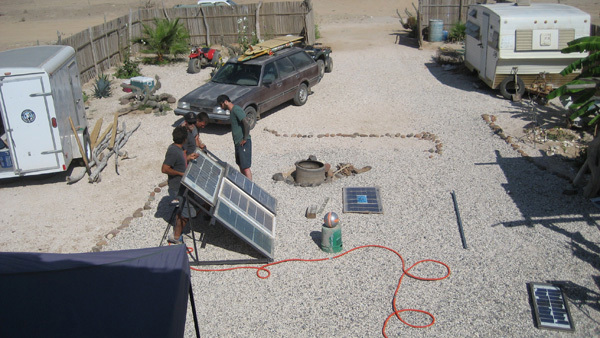 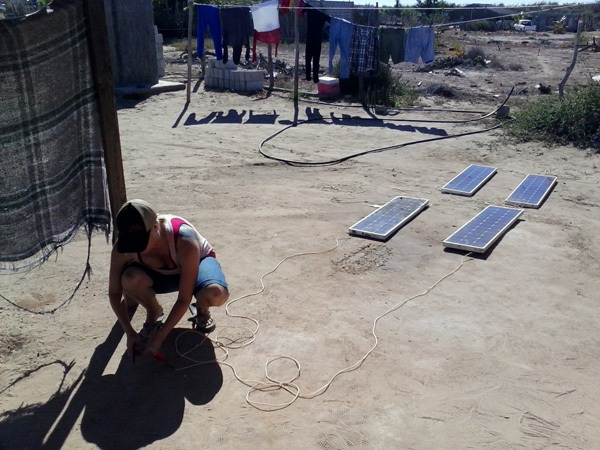 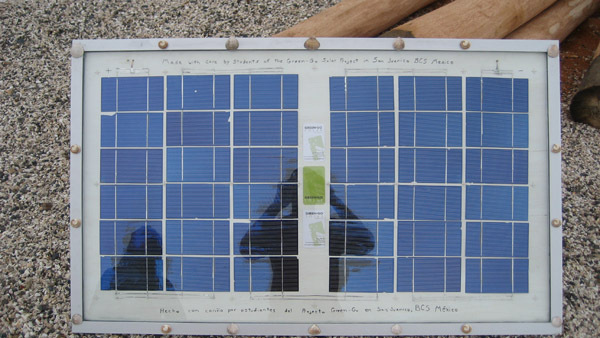 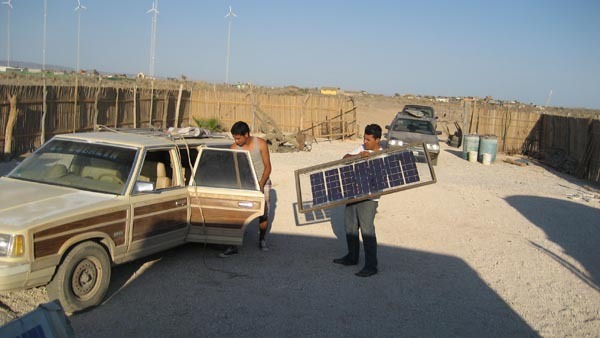 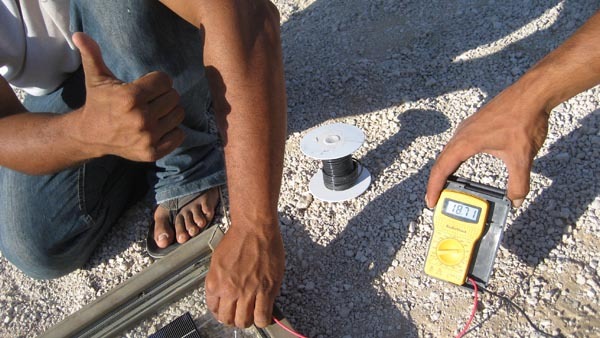 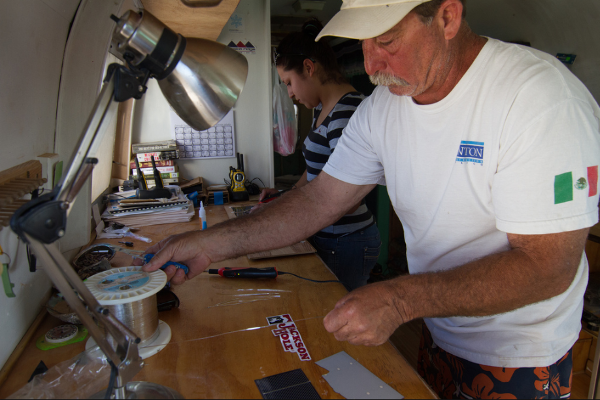 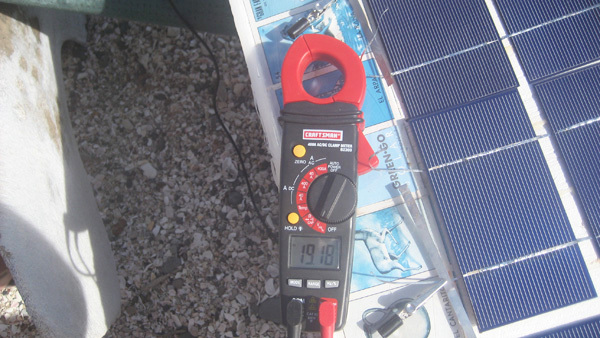 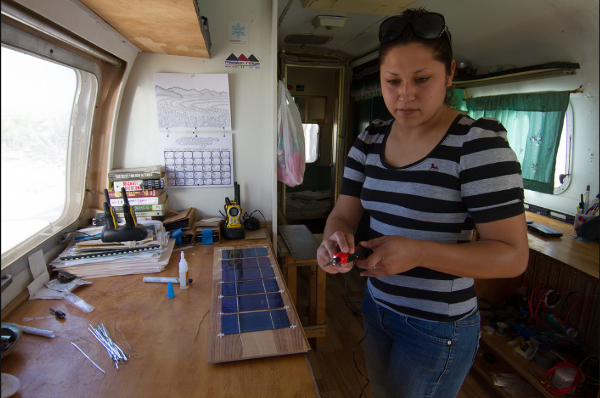 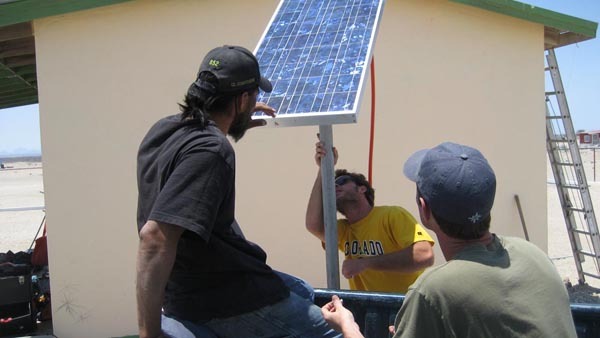 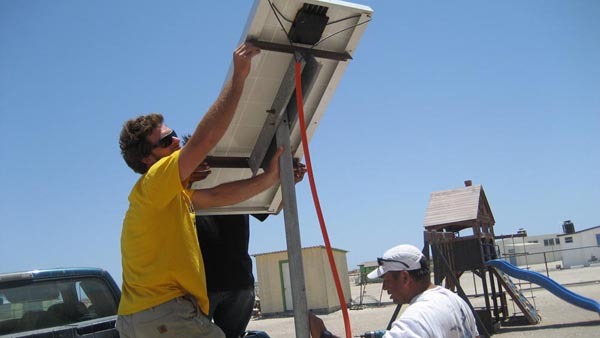 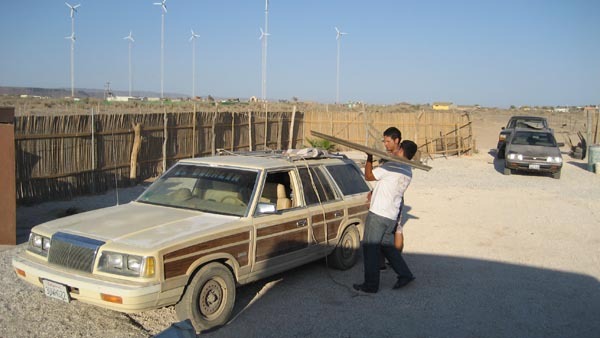 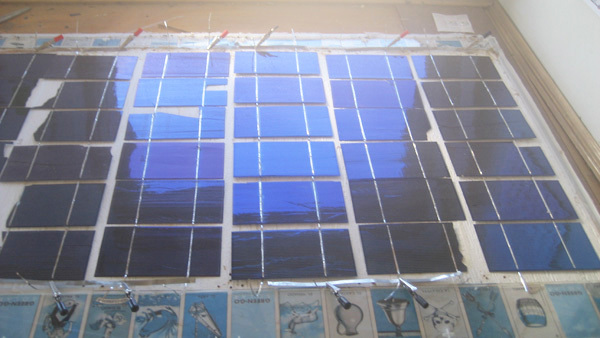 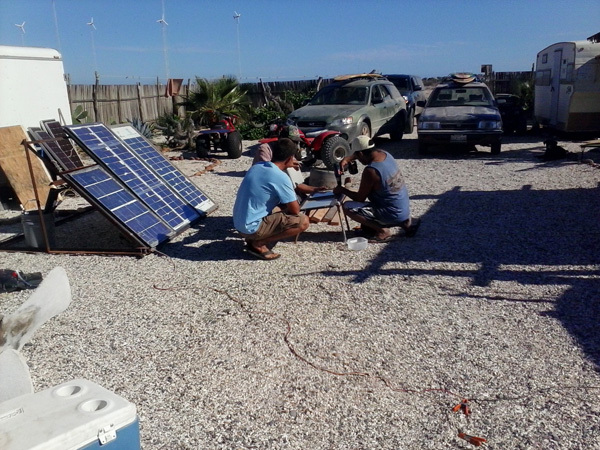 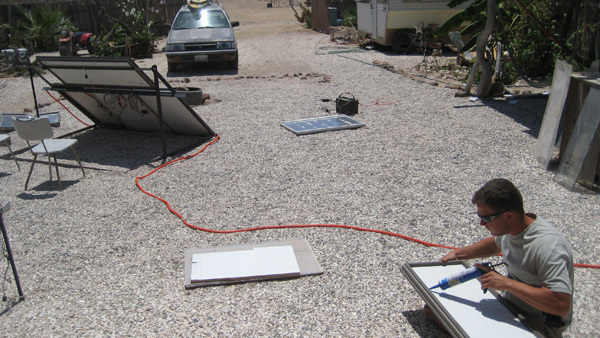 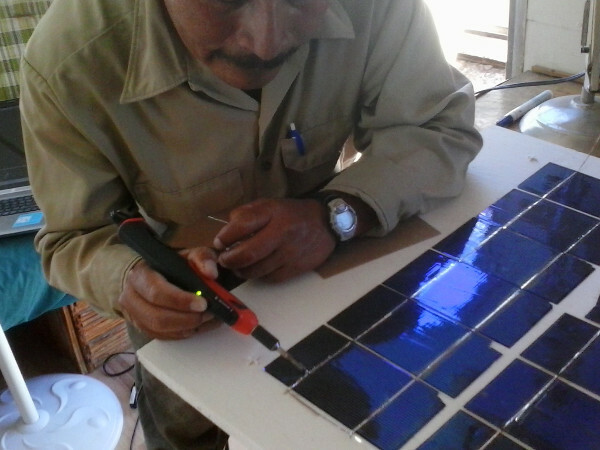 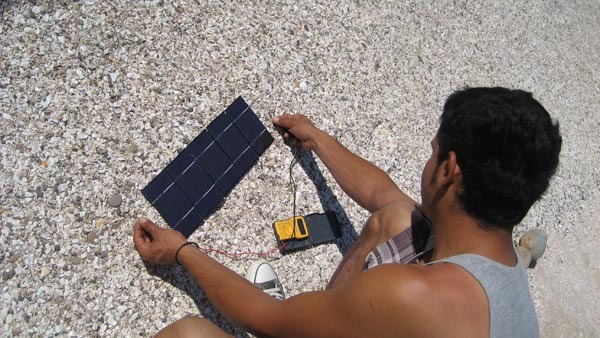 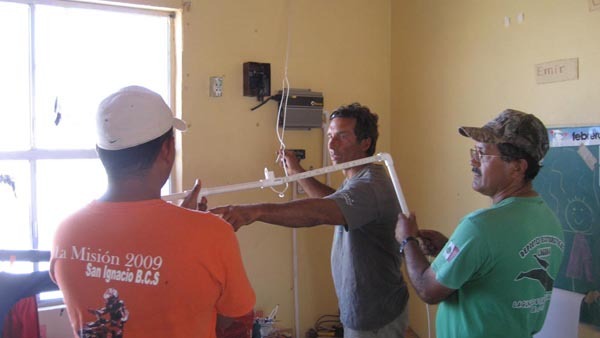 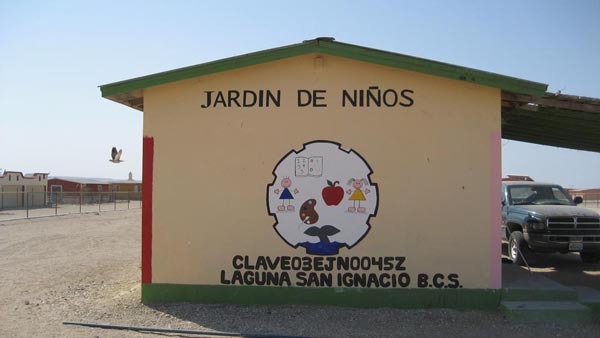 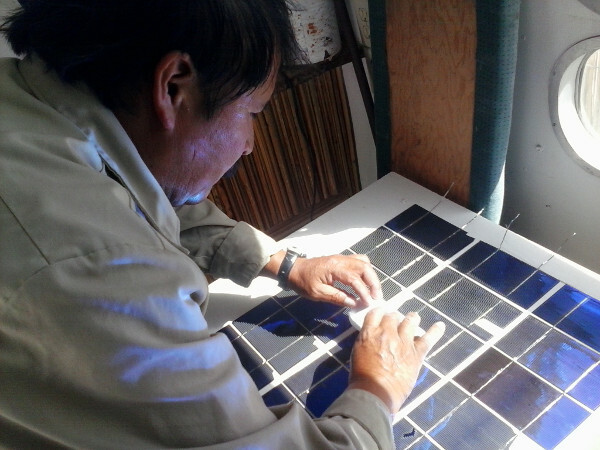 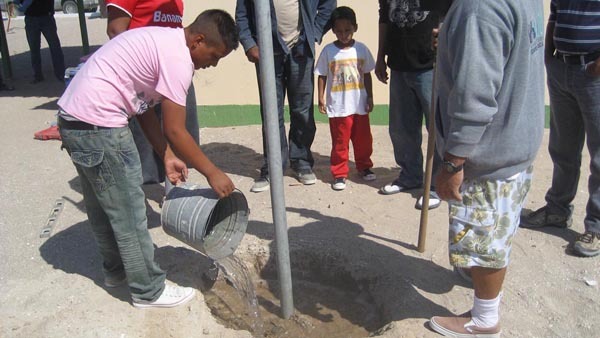 This is a conventional solar install at a single-room kindergarten in the nearby Baja fishing village of “Esquelita”, located on the southern Baja penninsula. 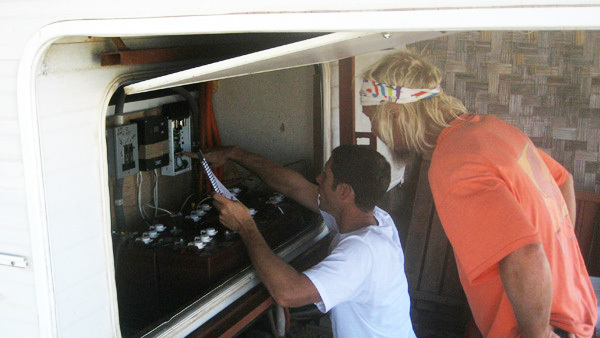 There was no electricity in the schoolhouse previously. 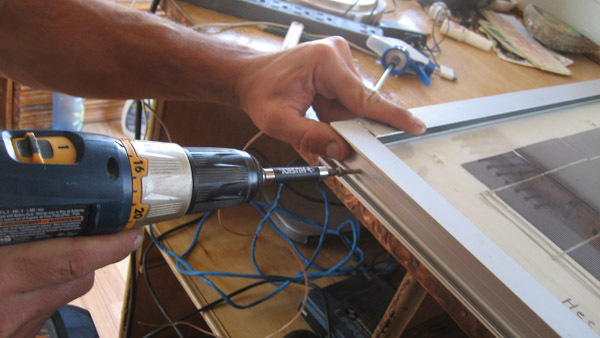 Hand-made panels do require some level of maintenance/oversight so we oftentimes use retail panels for school installs due to the regular turnover in teaching staff. 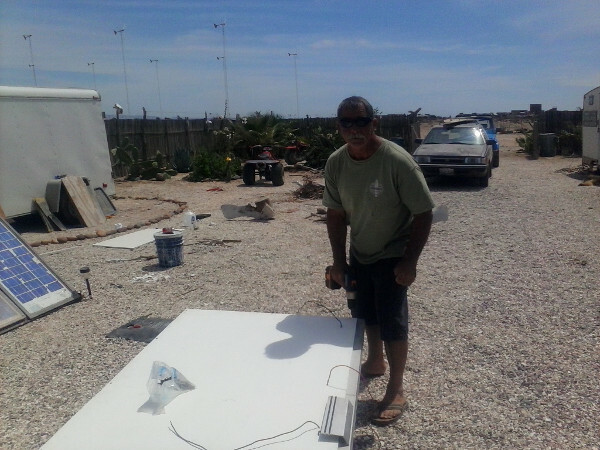 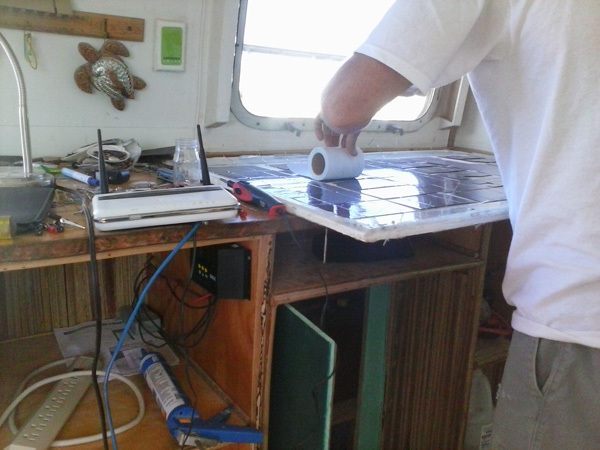 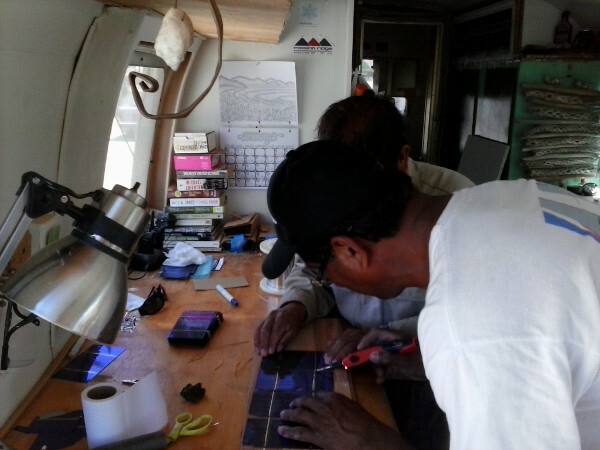 Another solar panel build at el Rancho Solar. 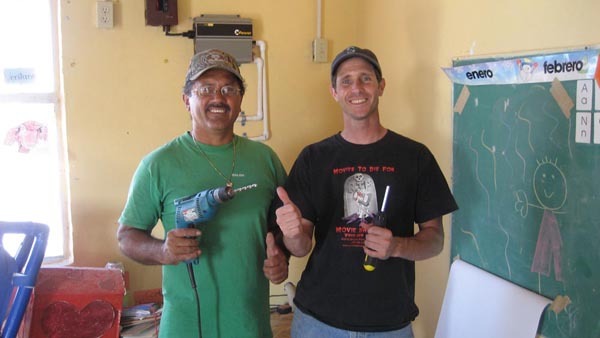 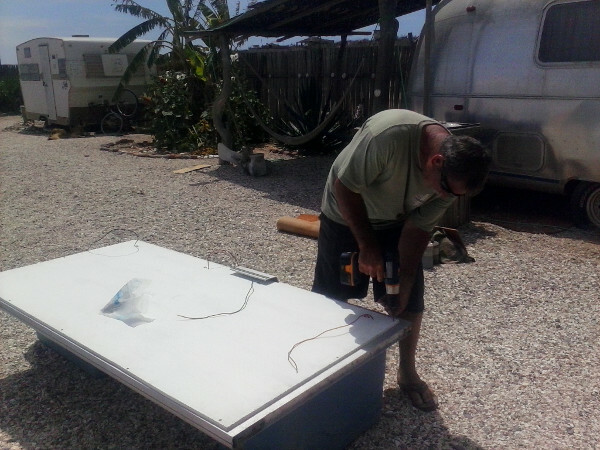 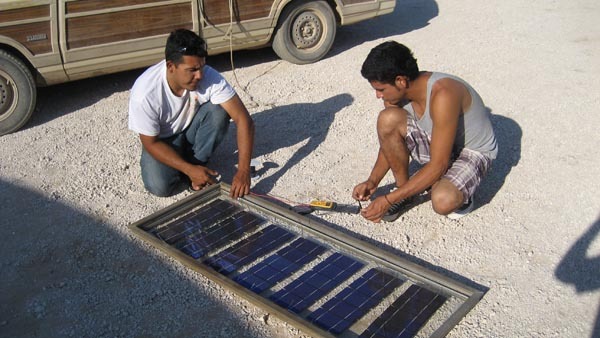 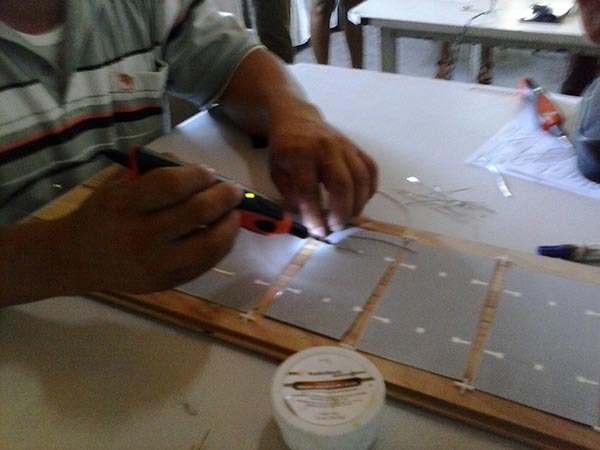 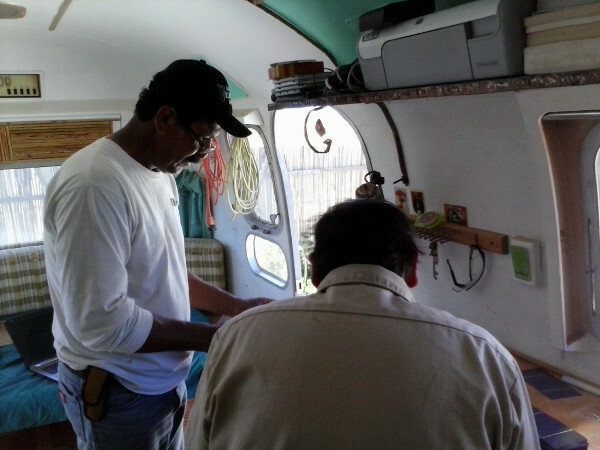 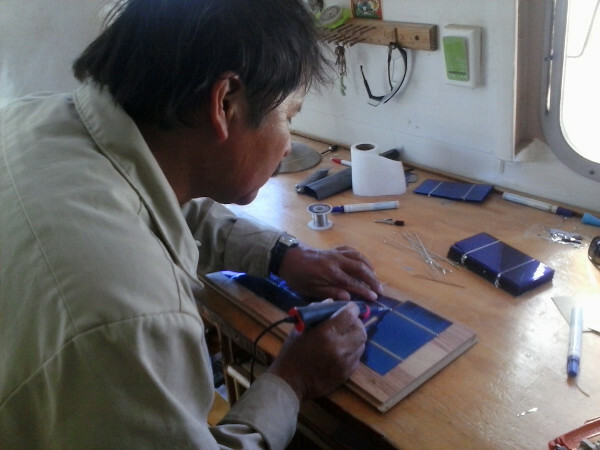 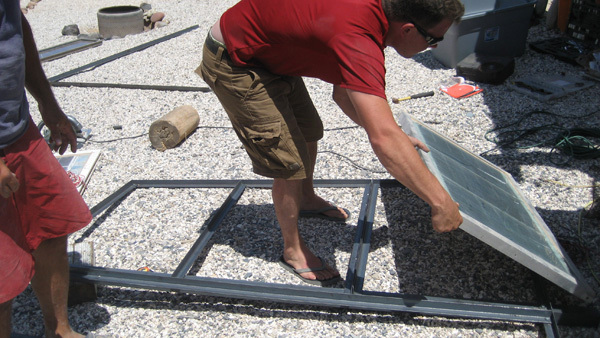 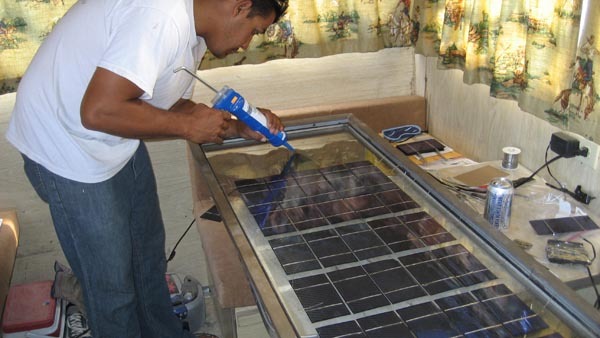 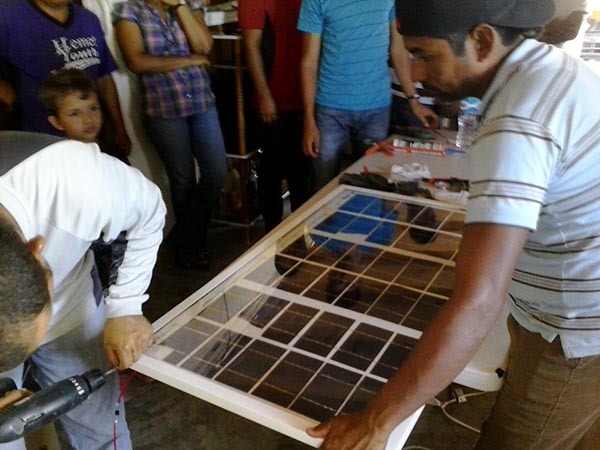 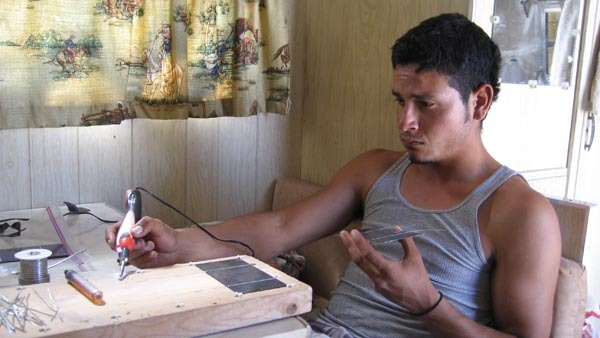 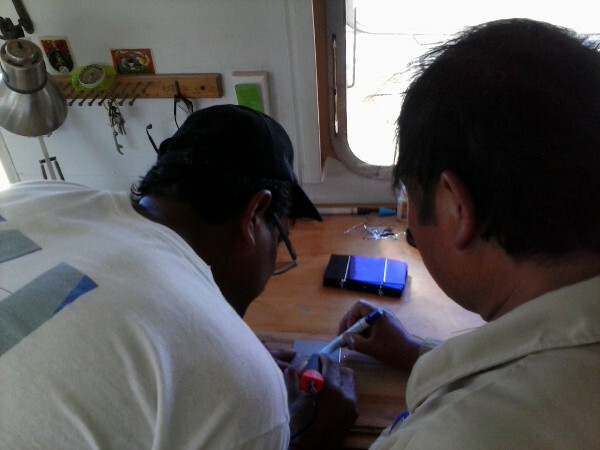 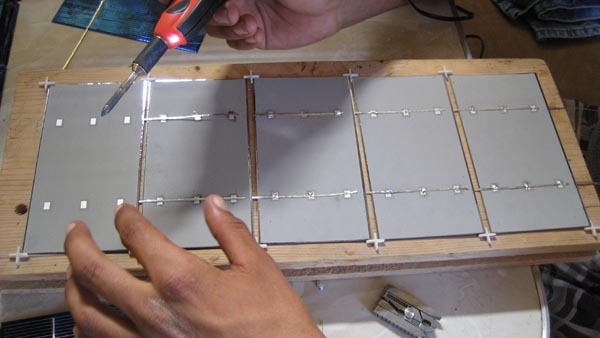 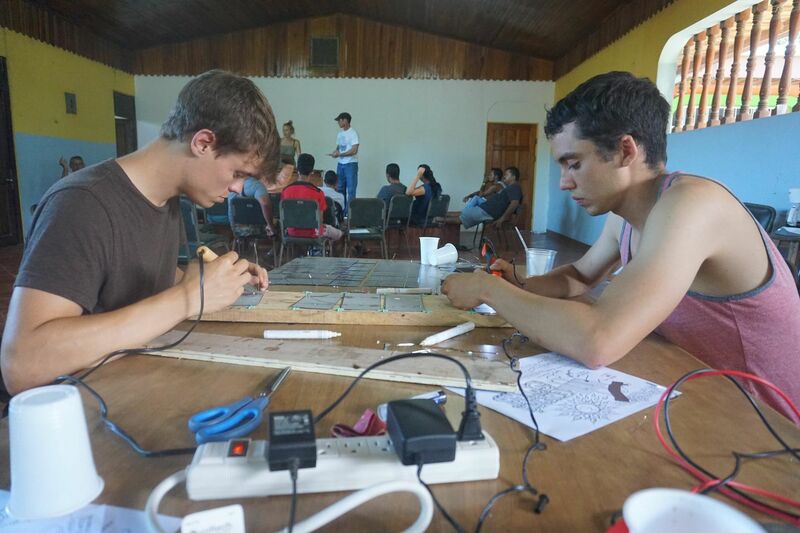 Alfredo and Jesus sourced a used glass window to use as building material to create a panel for their family home. 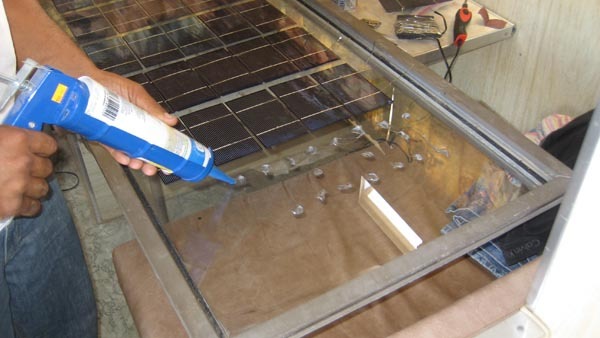 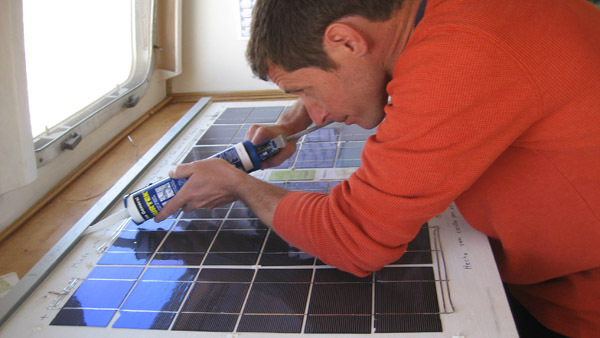 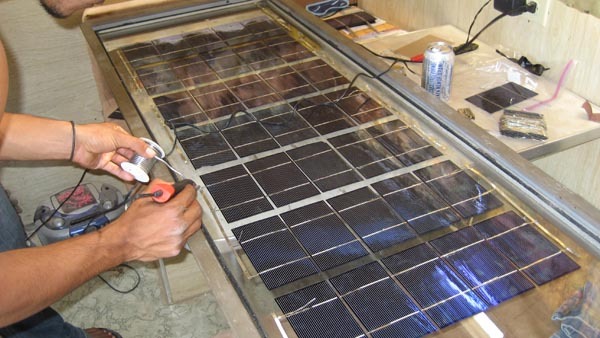 Double-paned windows are one of our favorite resources to create solar panels, as they come ready-equipped with glass to serve as waterproof backboards and vinyl or aluminium for the panel’s framing material. 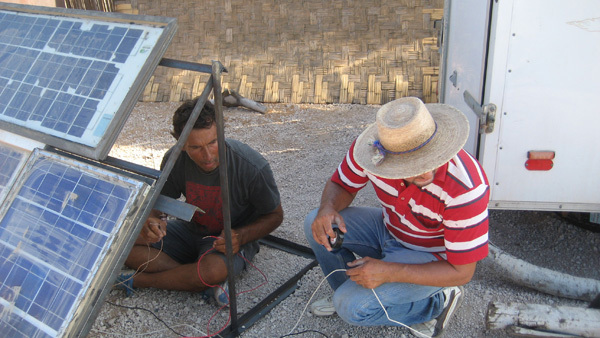 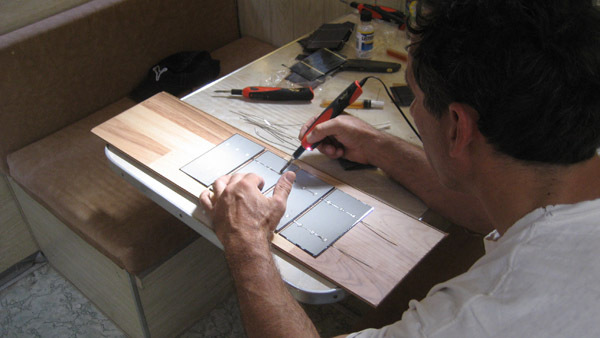 The application of this panel build was to light “el Burro en la Primavera”, a local restaurant/bar in San Juanico. 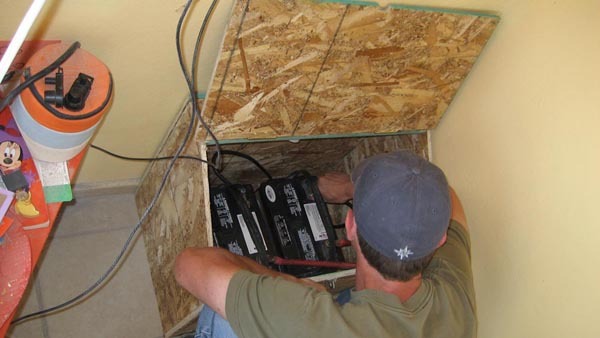 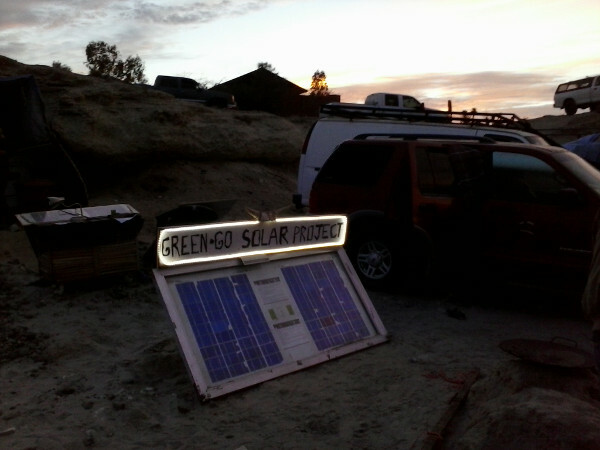 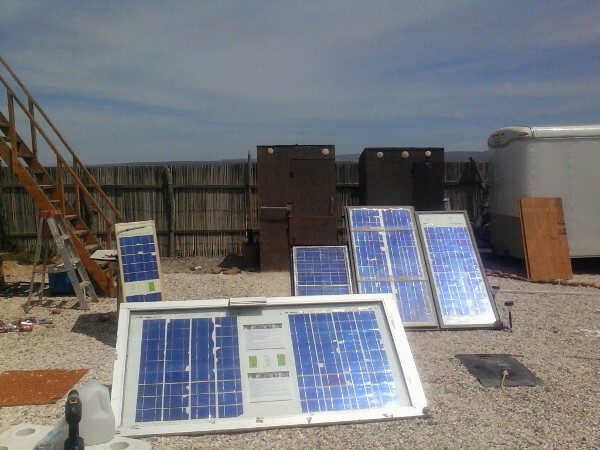 The owner is a long-time supporter of the solar program and was eager to power his establishment with renewable power. 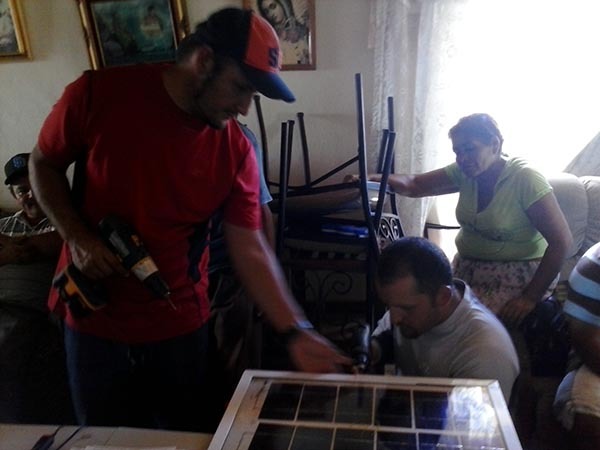 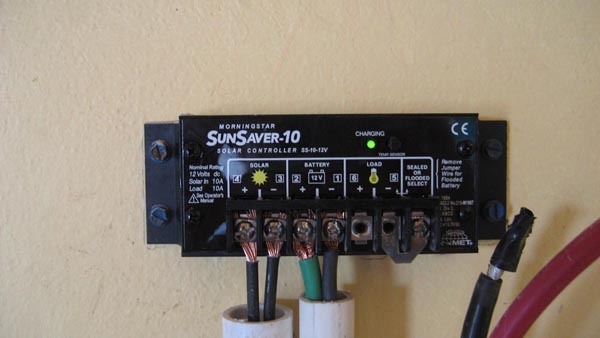 Electricity can be prohibitively expensive for businesses in Mexico and the municipal grid only operates for half the day in San Juanico, creating the necessity for auxiliary power during these blackout periods.